Leandri's team will debut against Spain's peers, 19 will face the English hosts and Thursday 21 will close the tournament against France. 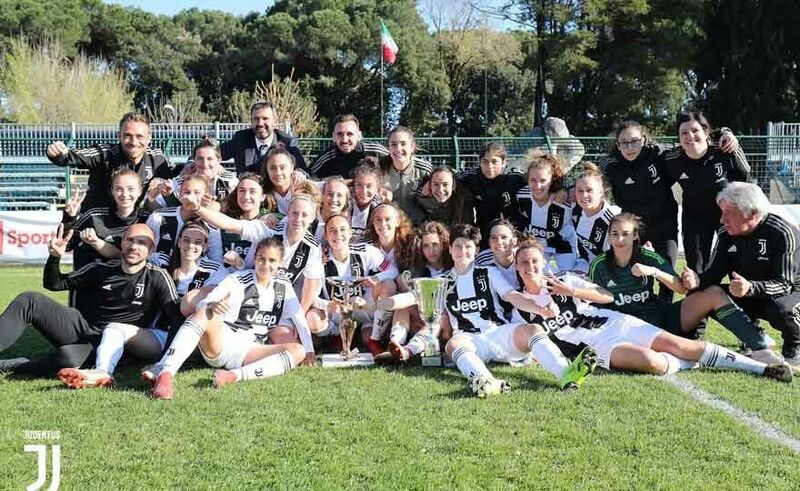 Venti Azzurrine summoned by federal coach Jacopo Leandri will begin the preparation rally next Sunday for the UEFA Tournament that the National Under 16 Women will play in Loughborough, England, from 17 to 21 in February. The Chievo Verona Valpo tries in vain to stop the winter champion Juventus. 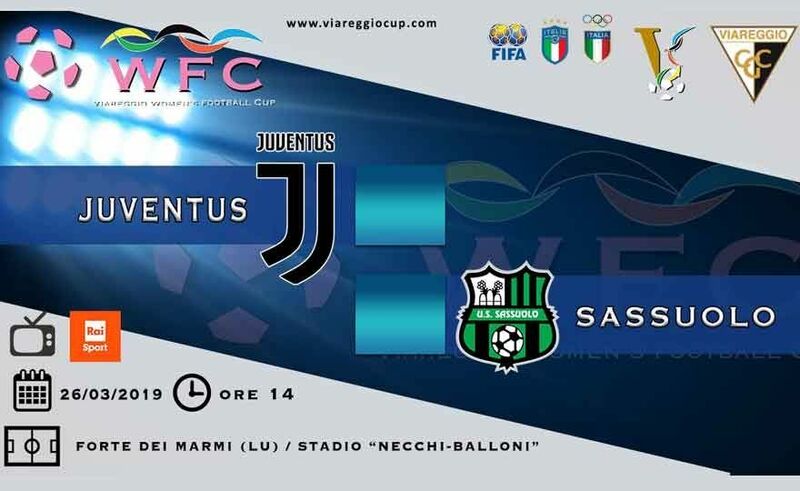 It is played in Verona in the postponement of 12: 30 the first match of the 2019 between Chievo Verona and Juventus. 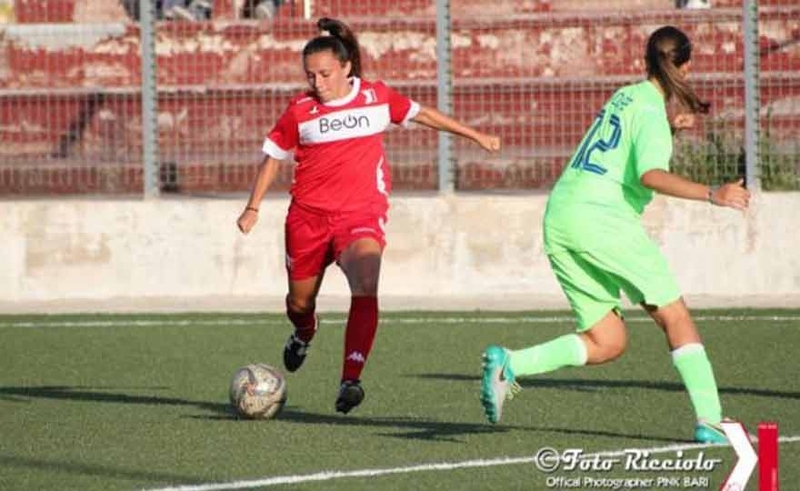 The girls led by Emiliano Bonazzoli start immediately and make themselves dangerous by immediately engaging Bacic and hitting the crossbar on the rejected, Juventus tries to react and becomes dangerous with a right cross just to the side of Arianna Caruso served perfectly by Barbara Bonansea. A devastating, monstrous test. 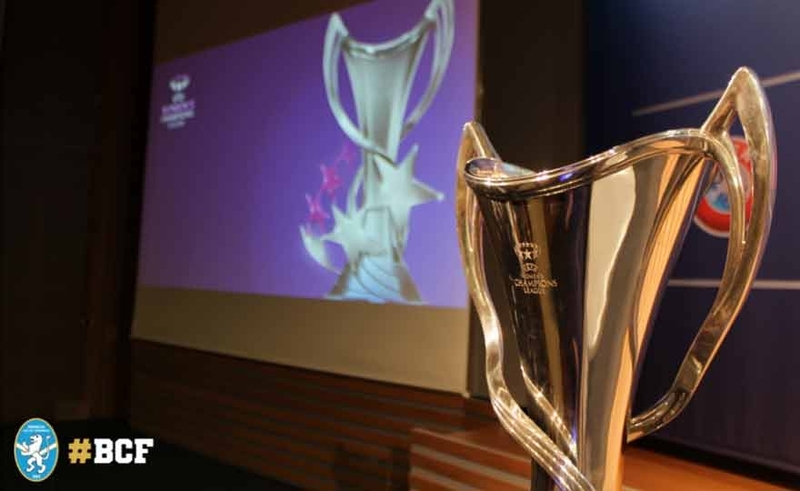 The insiders gave Fiorentina Women's favorite for the victory of the 2017 Super Cup, but players and staff of Brescia believed it. 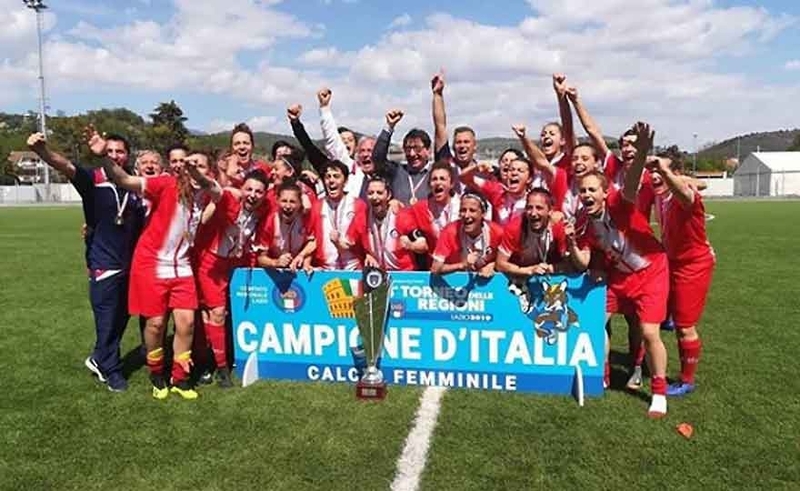 In football, after all, the most hungry wins, and at the Morgagni of Forlì the leonesses of Mr. Piovani arrived voracious, with only one goal in mind, the victory. 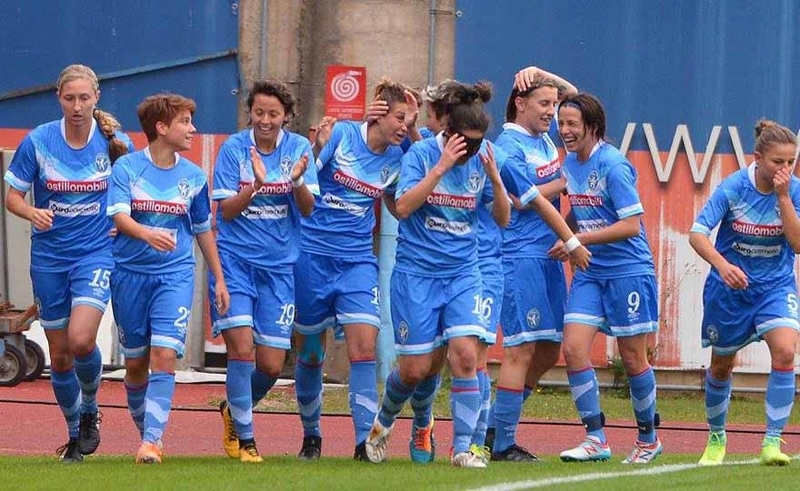 The Brescia Calcio Femminile annihilates 4-1 Fiorentina by mister Fattori. It goes under with a goal in the first minutes of the race, then draws, finally overflowing in the second half. 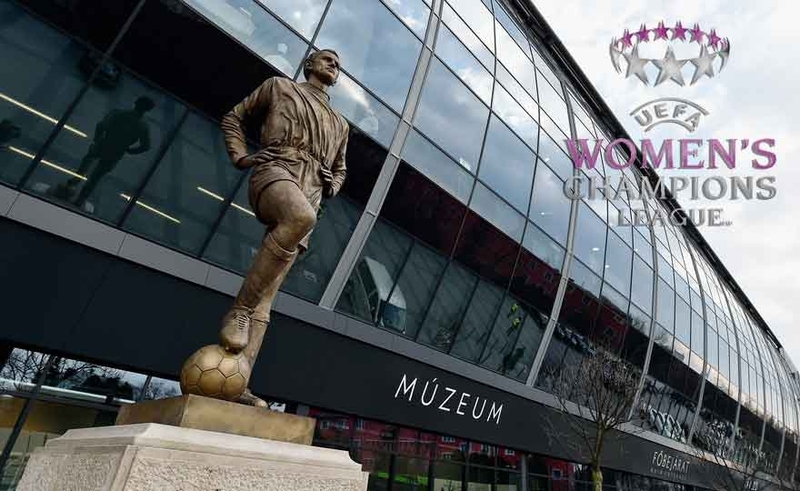 The women's football is preparing to write another historical page of the book of a sport that is growing exponentially. 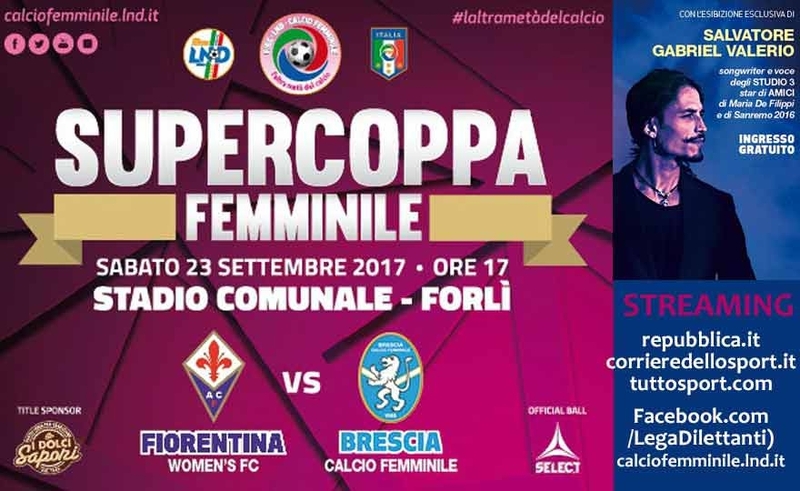 Saturday 23 September at 17.00 at the Tullo Morgagni stadium in Forlì faces Fiorentina Women's and Brescia CF for the 2017 Super Cup. Admission to the stadium is free. 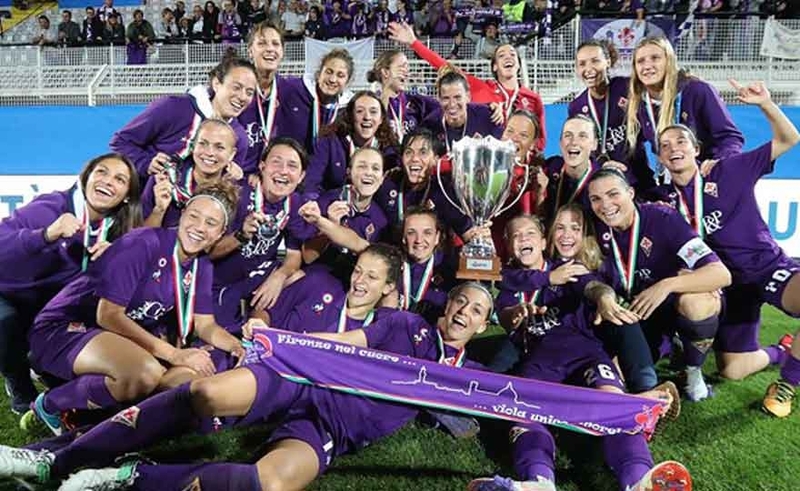 The viola won both the Scudetto and the Italian Cup 2016 / 2017, the lionesses came second in the championship and were surpassed in the final cup just by Fiorentina. 90 minutes were not enough to determine the winner of this Champions; not even 120, nor even the regulation rigors were enough. The rigors were used to establish the winner of the most important cup in Europe, and the new hat-trick was secured at Lyon. The match saw two very determined teams in the field, agonistically prepared and able to offer a beautiful, enjoyable and balanced show; so many dangerous actions on both sides have not been able to move the result from the 0 granitic to 0, which lasted for more than 120 minutes, bringing the two teams to the fatal penalty shootout. You can not face a Champions League as protagonists without reinforcing the team with elements of international value. Those who follow the European tournament for clubs know very well that the first 4 / 6 teams count the strongest players in the world. 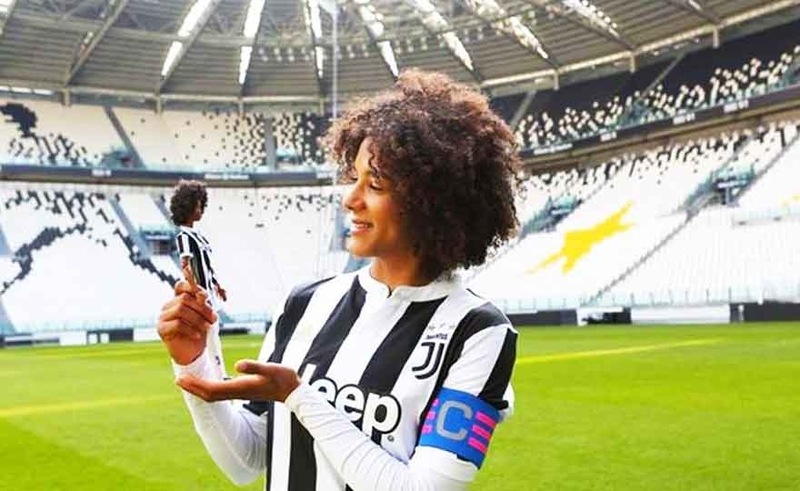 Juventus for women is an excellent team for the Italian championship but to dispute the Champions with ambitions, the rose needed at least the grafting 3 players of international experience. 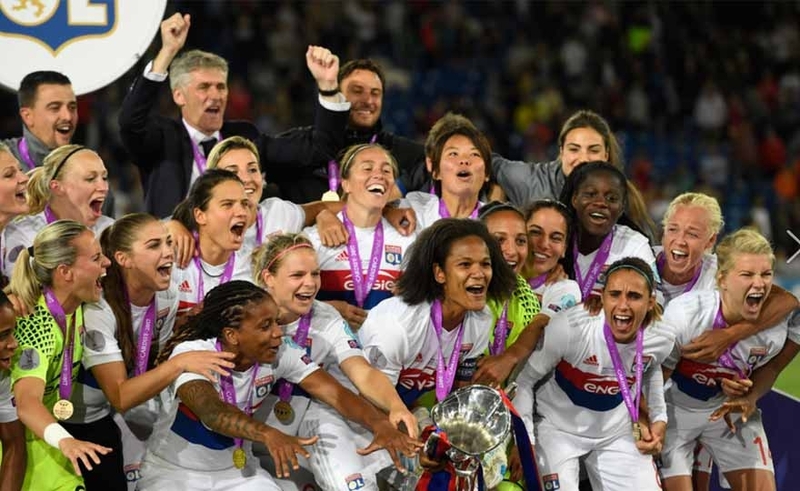 Thursday 24 May - Olympique Lyonnais Fémenine wins the Champion's League 2018. It looks like a dejavu, but it's all real: for the fifth time in less than 10 years the Lyone is the European champion, signing this year the third consecutive victory. 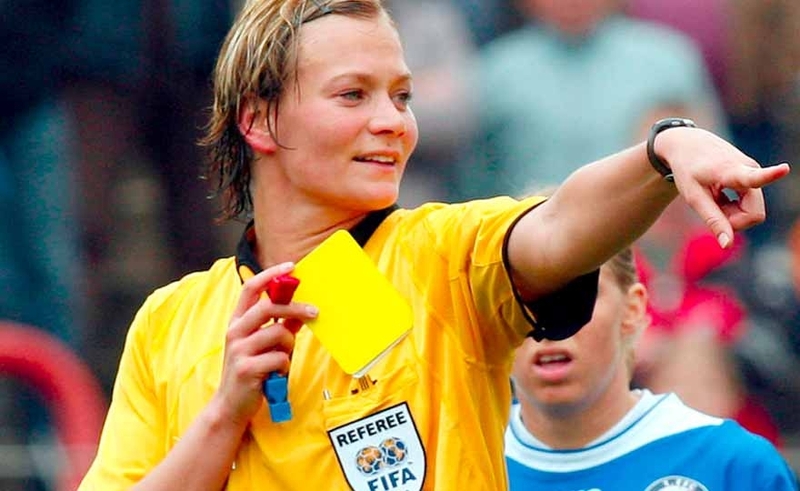 German referee Bibiana Steinhaus has no doubt how she will feel when she is in line with the two teams before the start of the big Champions League final on Thursday between Lyon and Paris Saint-Germain at Cardiff City Stadium. "I will have goose bumps," says the thirty-eight-year-old policewoman from the town of Bad Lauterberg, in the Lower Saxony region of northern Germany. She has directed numerous important matches, but nevertheless the sense of excitement does not seem to diminish. 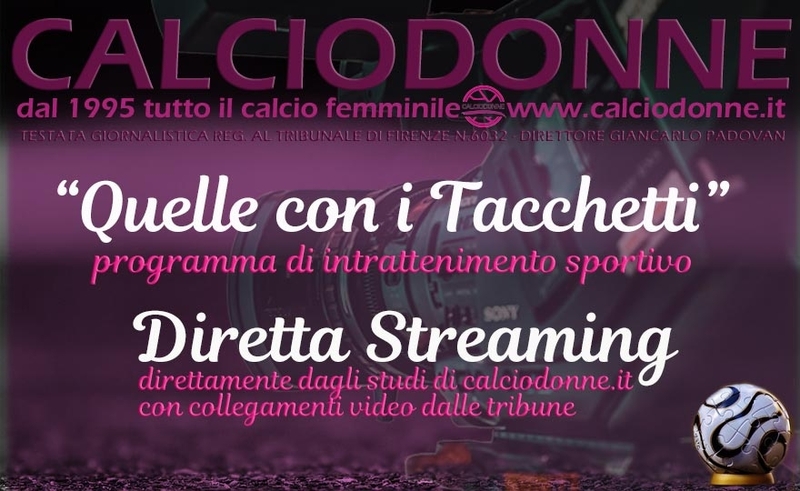 The editors of calciodonne.it is pleased to announce that, thanks to the fresh collaboration contracted with sports journalists Marco Crepaldi & Luca Del Gaudio, which we will present shortly, the first leg of the sixteenth of UEFA Women's Champions League Juventus - Brøndby will be sent in direct app & web radio. 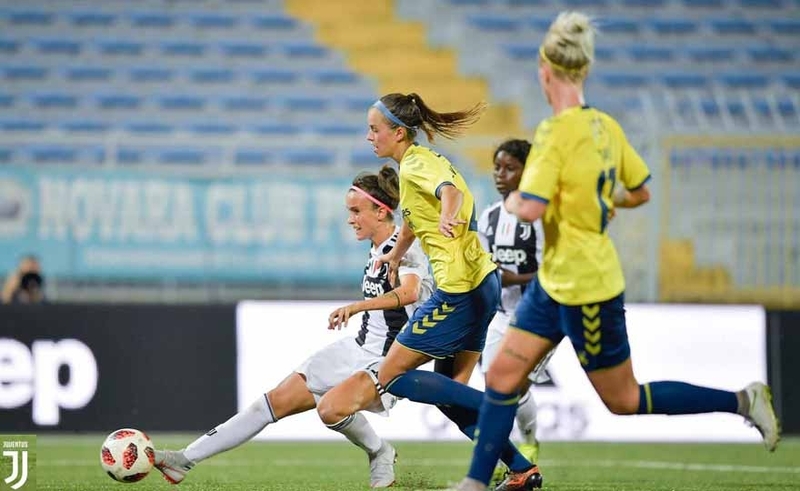 This evening at 18 the bianconere girls are called, in the return of the sixteenth of the UEFA Women's Champions League, to make a business, at Brøndby's home, to move on to the Champions League round of 16. The viola finds itself and unleashes, in the house of Wolfsburg, a performance of fine quality. 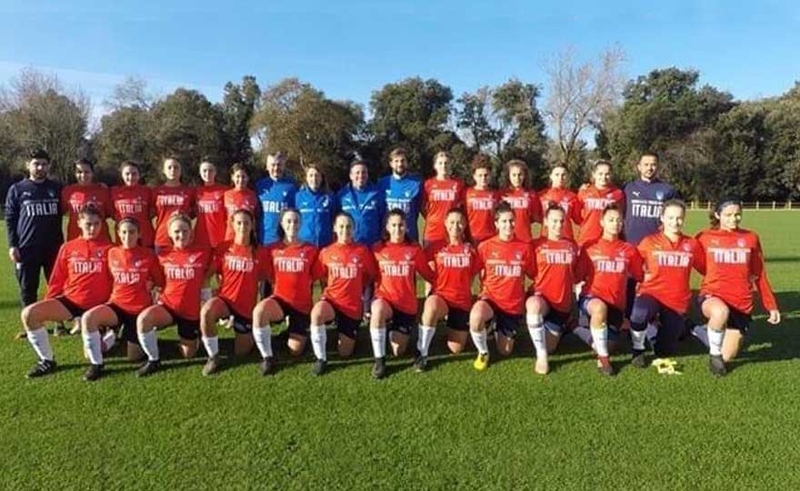 The girls of Fattori-Cincotta play openly and hit 3 networks, unexpected, which redeem, in part, the burning defeat of 4 0 remedied in the resumption of the first leg played at the Franchi. 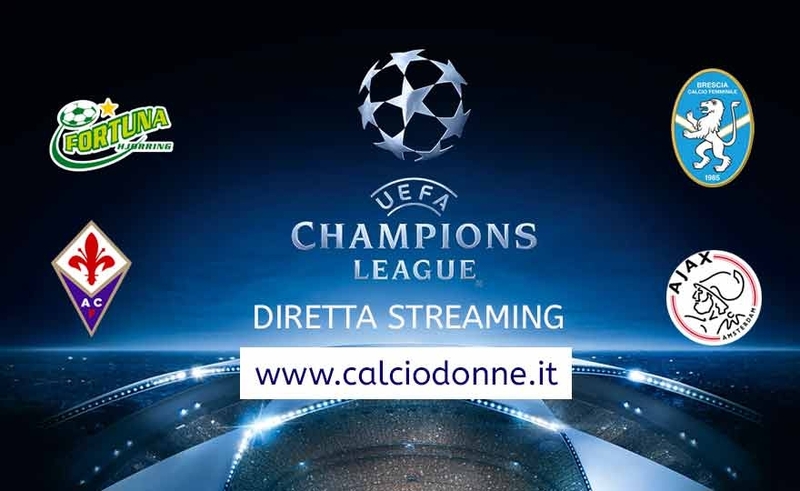 Champions Final in Eurodirect TV. The absence of Italian issuers shines. 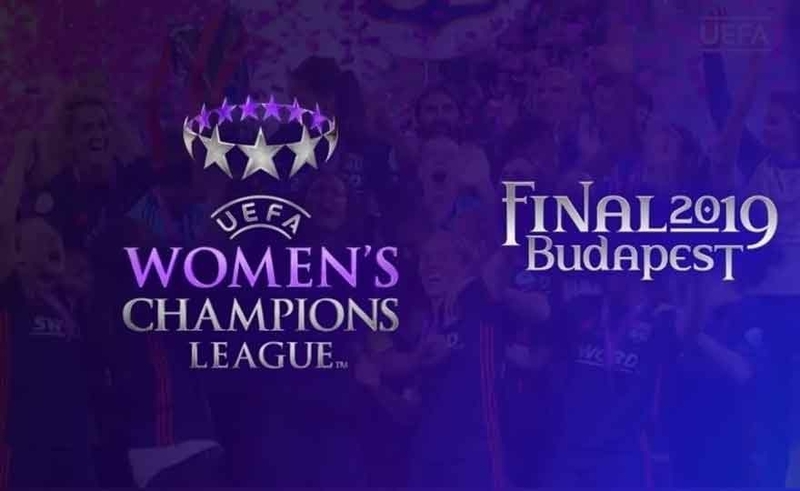 The UEFA Women's Champions League final will take place tomorrow on Thursday 24 May in Kiev with kick-off at 18: 00. 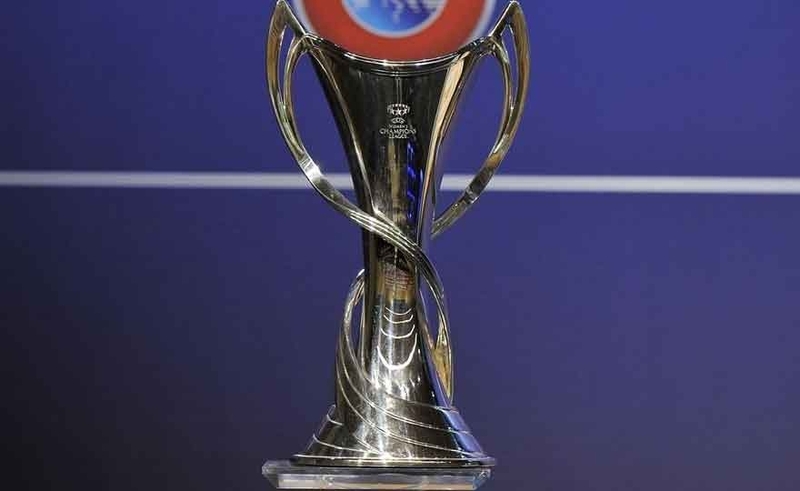 The competition will be broadcast live on all European TV channels, but the absence of Italy shines from the UEFA list. All of Europe will tune in to watch the Lyon - Wolfsburg challenge. Read more: Champions Final in Eurodirect TV. The absence of Italian issuers shines. 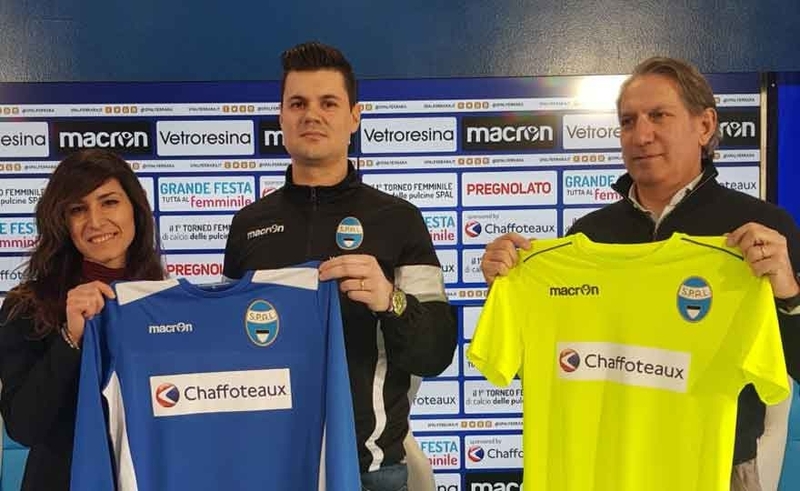 For the second consecutive edition Brescia will be seeded in the Champions League, with the white and blue that will play away the round of the sixteenth of the final, while the return will see Cernoia and playmate in front of the public friend. The Brescia also improves its Uefa coefficient going up, after the results of last season, to the twelfth place with 33.210 score, compared to the thirteenth place a year ago with 27.705 points. The biancoblù therefore remain the best Italian team in Europe and will be included in the urn of the first band with, among others, Olympique Lyon, Wolfsburg, Manchester City, Barcelona, ​​Bayern Monaco. 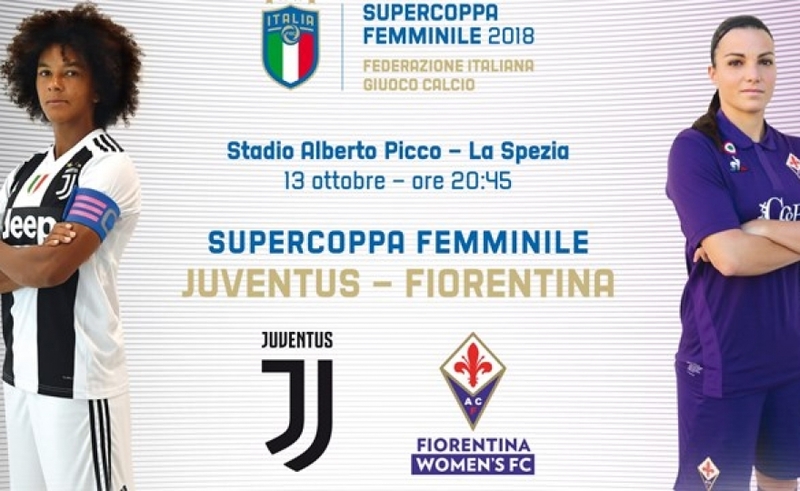 12 September 2018 - Stadio Franchi. 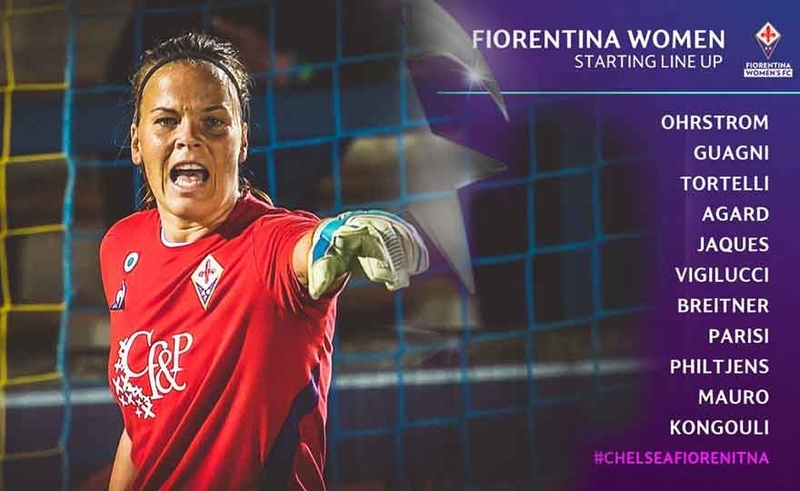 With the sixteenth of the Champions League final we have two debuts: that of Fiorentina in the first official game of the season and mine as sent by calciodonne.it to follow our warriors. A generous Brescia gives in to the distance! 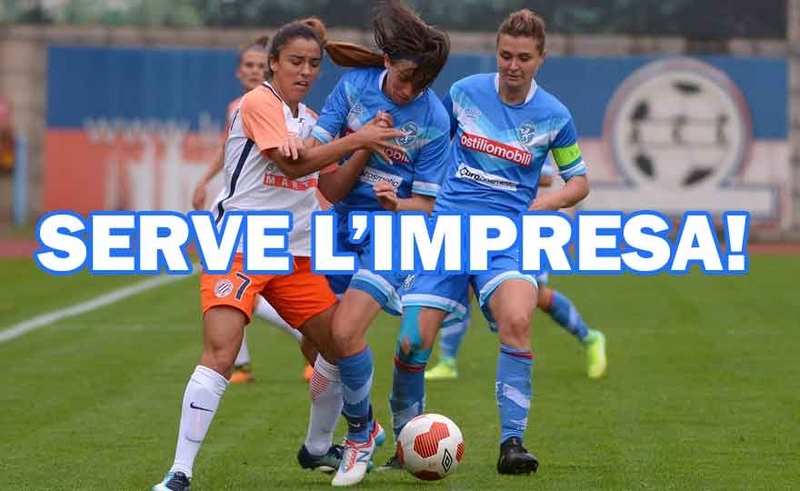 It is not enough the generosity put in place by the players from Brescia to overcome the girls transalpine of Montpellier who come out winning, albeit with minimal deviation, from the field of Lumezzane. It was a great game especially in the first half of the game in the XUMUM that Brescia played on equal terms against the strongest rivals, then in the second half the bursting strength of all the components of the French team had the best end. Read more: A generous Brescia gives in to the distance! Champions: Come on Brescia, nothing is impossible! Seven days after the first round of the Champions League, here the two Italian teams return to the field, with different stimuli, to play the return match. Fiorentina is away on the field of Wolfsburg with a mood that does not envy. For the viola will be a race to gain more experience in the international field and to confront again with a big one. Here are the words of Mr. Fattori: "we did not come to Germany to have a picnic but to honor the purple colors. "; Mr. Cincotta reiterates: "we will go on the pitch to recover the disadvantage of the first leg. "; Brescia will be on stage in Montpellier to redeem the defeat of the first leg and attempt the undertaking, not impossible, to pass the turn. The favors of the prediction hang in favor of the home team, more prepared athletically. Read more: Champions: Forza Brescia, nothing is impossible! Tomorrow and Thursday the first leg games of the Champions League round of 16 are played. At 15: 00, in Lumezzane, Brescia took the field against the unknown Montpellier. 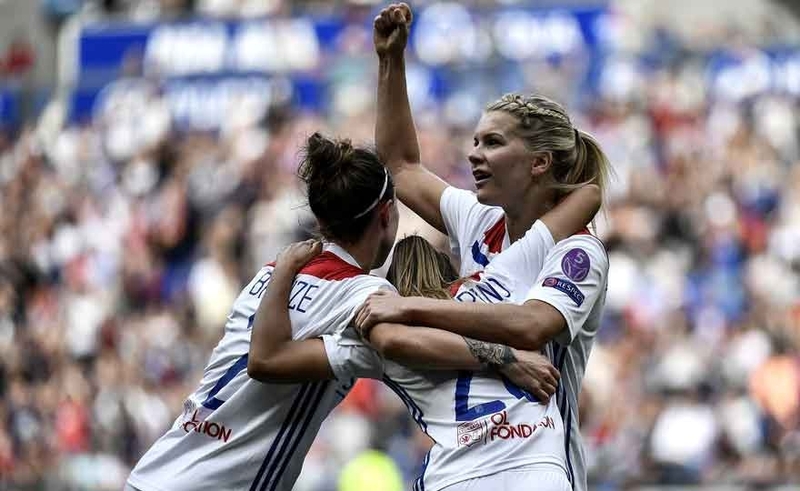 The lionesses come to this match strong of victory over Fiorentina while the vice champions of France are veterans of a dry defeat remedied with the Paris St.Germain. Result that should not galvanize too much swallows, the Champions is a stage that brings out the best of every athlete and team. 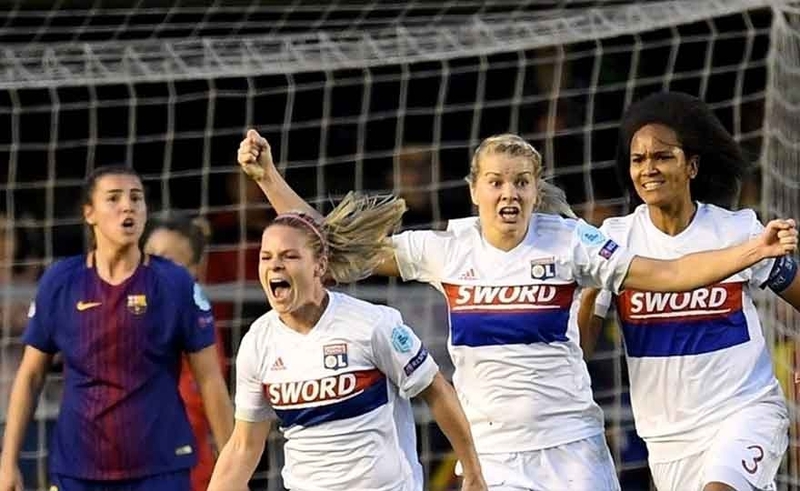 The French team will take the field motivated to contain and attack the Italian lionesses. Fiorentina and Brescia, to the conquest of Europe! 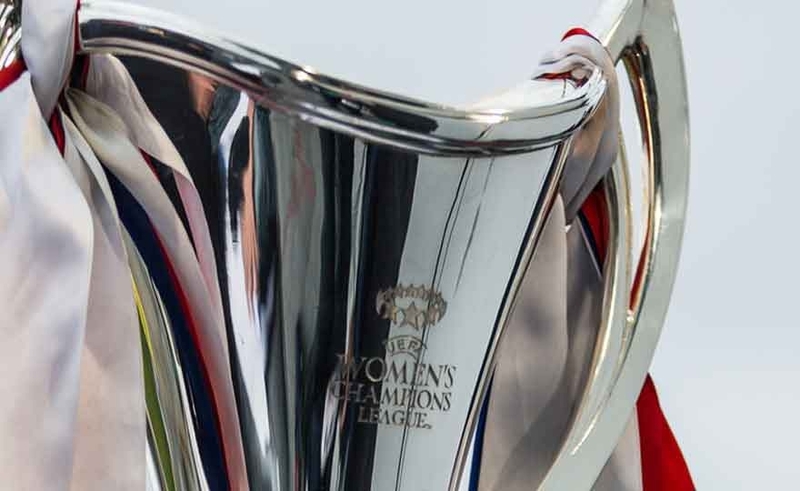 The knockout phase of UEFA Women's Champions League begins today, Wednesday 4 October, with the sixteenth final. 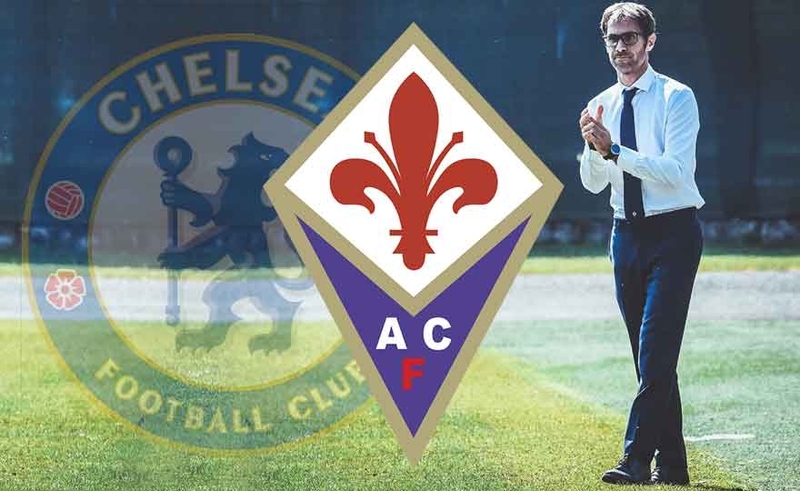 Fiorentina and Brescia are respectively engaged against Fortuna Hjørring and Ajax.A Florence arrives the Fortuna Hjørring is mister Brian Sørensen and not to visit one of the most beautiful cities in the world but to conquer the "Franchi". 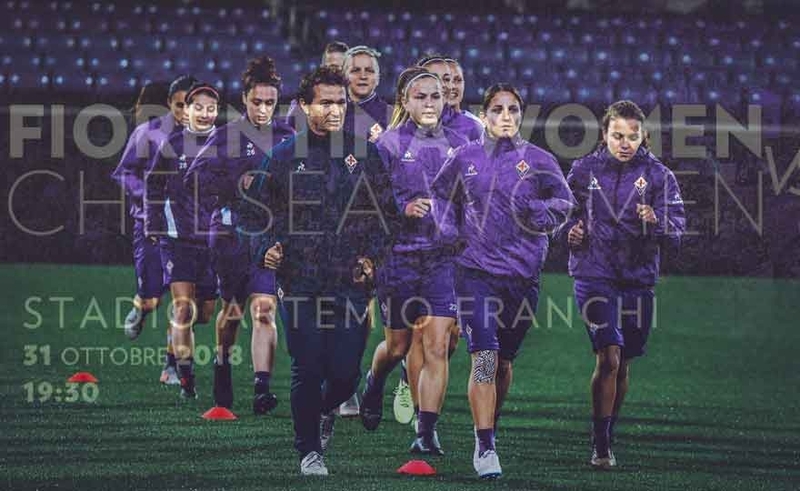 The purple girls, who are living an unhappy moment, are called to a great performance in the legendary Stadio Franchi in front of its fans who will surely be of great support. Read more: Fiorentina and Brescia, the conquest of Europe! Bitter draw for the Viola who draws the two-time Wolfsburg European champion. Incognita Montpellier for the Brescia area. 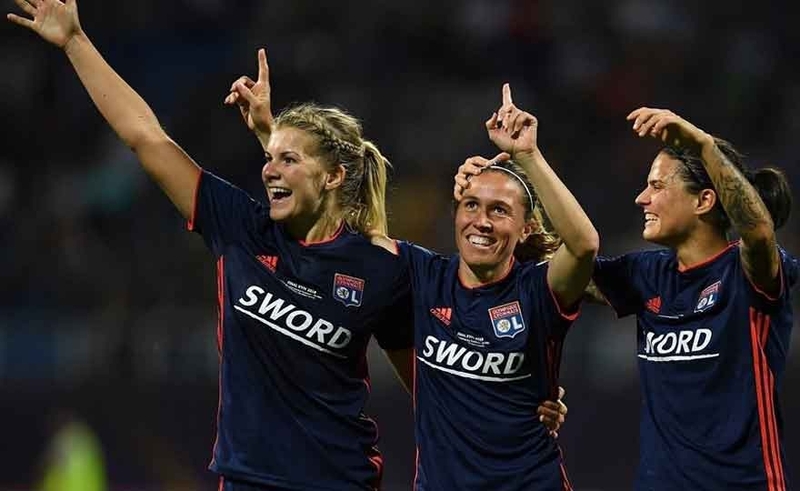 The French squad qualified for the second round eliminating the Russian Zvezda 2005, overturning their defeat at home with a dry 2 at 0 in Russia. An unpredictable training that focuses a lot on the Swedish trequartista Sofia Jakobsson, author of the double qualification. The matches will be played as mini-tournaments in a single venue on 7, 10 and 13 August. 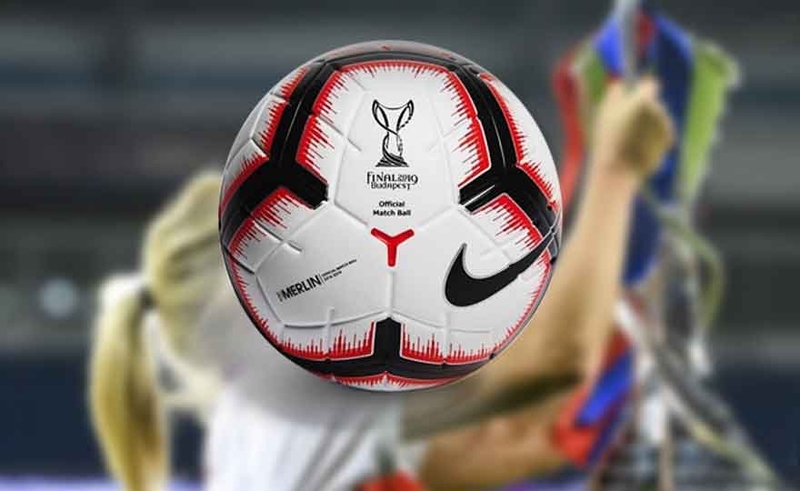 The ten winning teams of each group and the second two ranked with the best results will pass to the draw of the 17 August joining the 20 teams already qualified, for a total of 32 teams. CHAMPIONS: A great BRESCIA wins and goes NEXT! Half an hour before Fiorentina, thanks to the nice draw on the Danish Fortuna field, had passed the Champions League round! 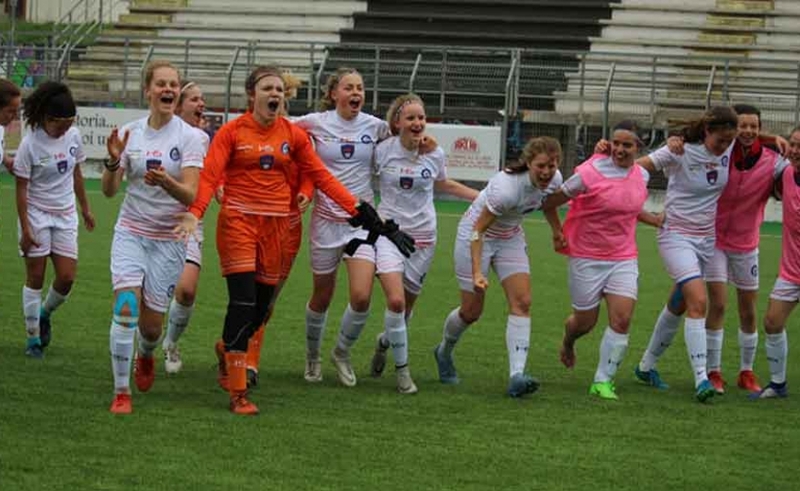 Now the joy of the purple girls is also joined by the girls from Brescia who today, at the Rigamonti stadium, have passed the strong Ajax team with the classic 2 result at 0, thus avenging the undeserved loss of the first leg in Holland. Let's just say that tonight THE LIONS have well honored their name, because they entered the field with grit, strength and above all the desire to win, which has frightened the Dutch very much. Read more: CHAMPIONS: A great BRESCIA wins and goes NEXT! Champions ... but what a beautiful Florentine! 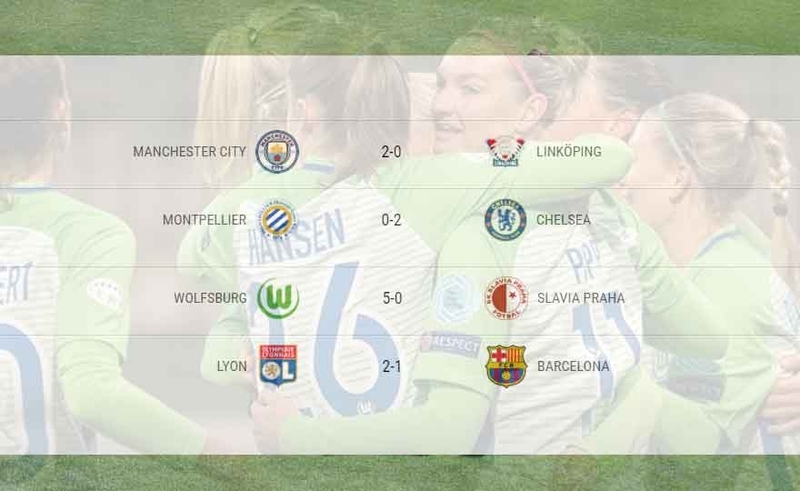 Let's face it all the truth, there was a certain fear last night for the purple girls' Champions League match after the unconvincing tests at the start of the season. The defeat in the Super Cup against Brescia and the stunted draw achieved last Saturday in Verona had raised doubts about the possibility to review the team "crushers" last season. Read more: Champions ... but what a beautiful Florentine! 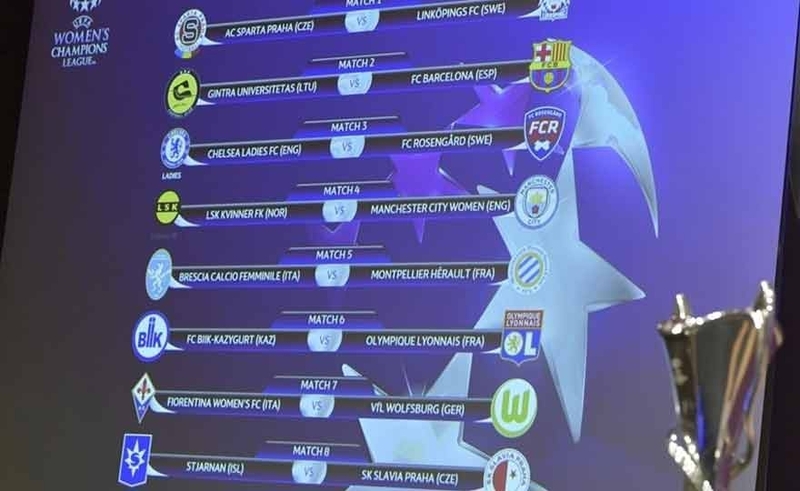 On Wednesday 21 and Thursday 22 the first leg matches of the Champions League quarter-finals were played. Manchester City has beaten the Swedes of Linköping for 2 to 0, taking advantage of a penalty signed by Parris to 37 'which also cost the expulsion of Lantz, warning shortly before. In numerical superiority and driven by friendly typhism, the English doubled with J. Ross at 55 '. A very hard-fought race which, in my opinion, remains open to surprises. Brescia, 11 October 2017 - Italy is en plein in Europe. 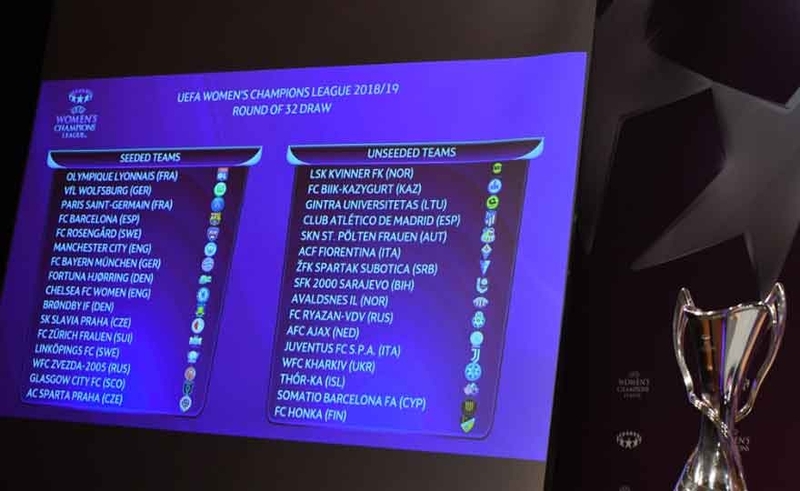 In the return of the UEFA Women's Champions League, Brescia and Fiorentina, the representatives of the Italian women's soccer team in the international stage this season, both qualify for the second round by overcoming the obstacles Ajax and Fortuna Hjørring. 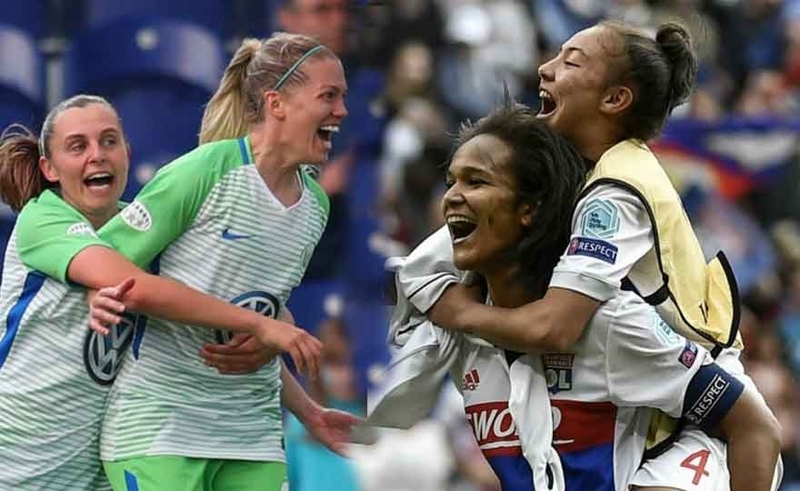 Wolfsburg and Lyon will meet for the third time in a UEFA Women's Champions League final, after both teams have eliminated the English opposition to close their seats in the Kiev match on May 24. 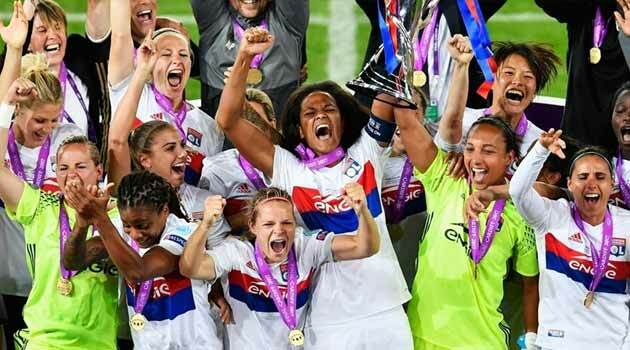 The holders of Lyon have won Manchester City to maintain their fifth title, while the two-time Wolfsburg champions are back on the field after playing Chelsea. 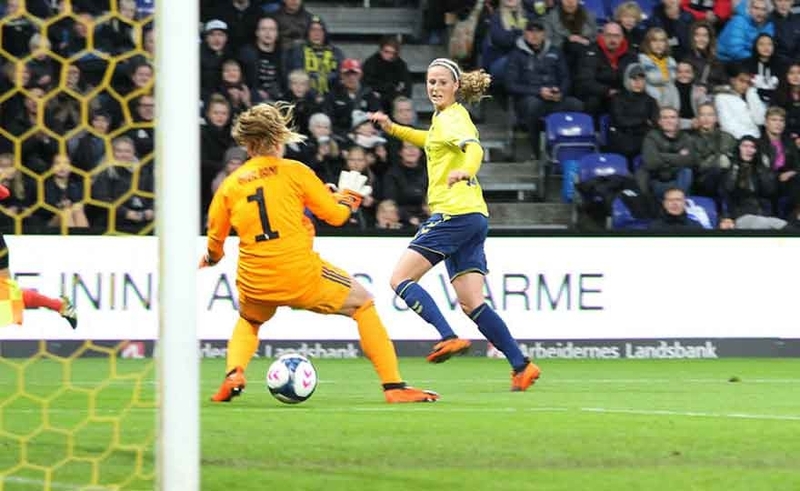 Their Kiev showdown will be their third match in the final in six years - taking down the initial dominance of FFC Frankfurt and Umeå, who have faced three of the first seven UEFA Women's Cup finals. Yesterday, the Champions League quarter-final matches were played without reversals of the results of the first leg. 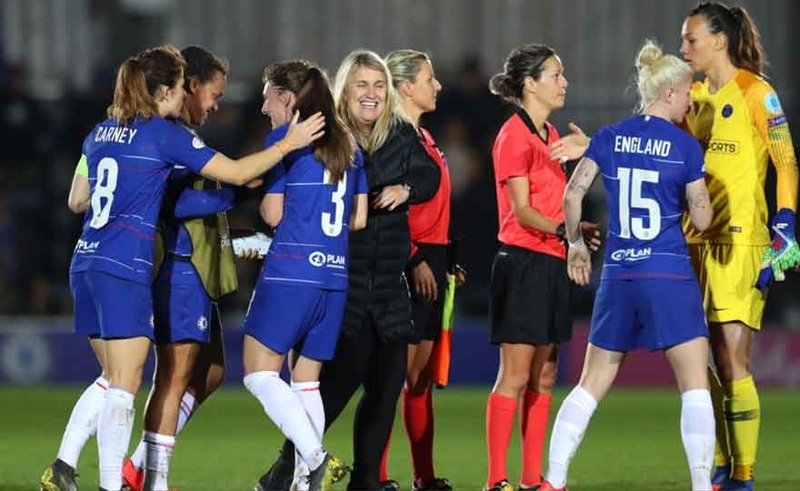 Ji So-Yun and Erin Cuthbert gave Chelsea a victory in France. 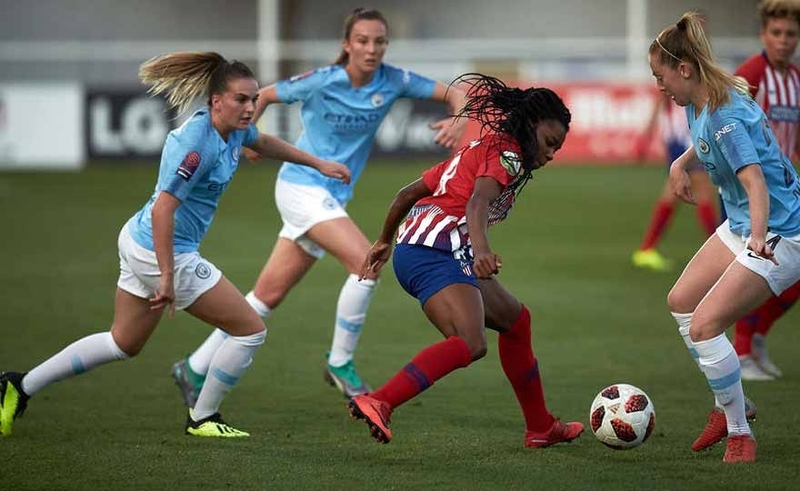 Fran Kirby was the key to the return, scoring two goals on penalties and serving the assist for Ramona Bachmann's net in front of the 3.000 spectators who came to cheer for their darling. Yesterday evening, after a long search on the web, I managed to see the entire Ajax-Brescia race. In a beautiful setting of public "orange" and some indomitable brescian fan has promptly started the race with the landlords slightly more at ease at the expense of a more tense Brescia. The stakes were important: Ajax on his debut in the Champions League in front of his audience, Brescia at home of the great team of the Netherlands. The two formations fought with determination, implementing, more on the Dutch side, a game perhaps a little too "male", but the game was pleasant and engaging. 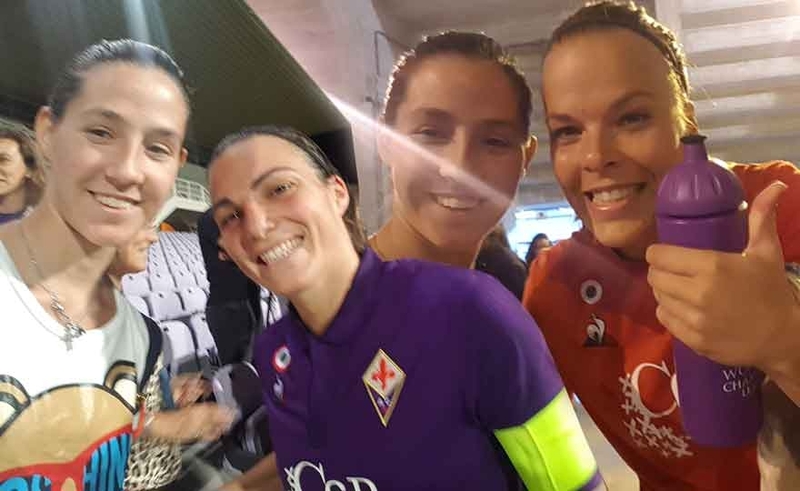 Fiorentina, at the debut in the tournament, will see her with Fortuna Hjørring, while Brescia will go to Holland to challenge Ajax. 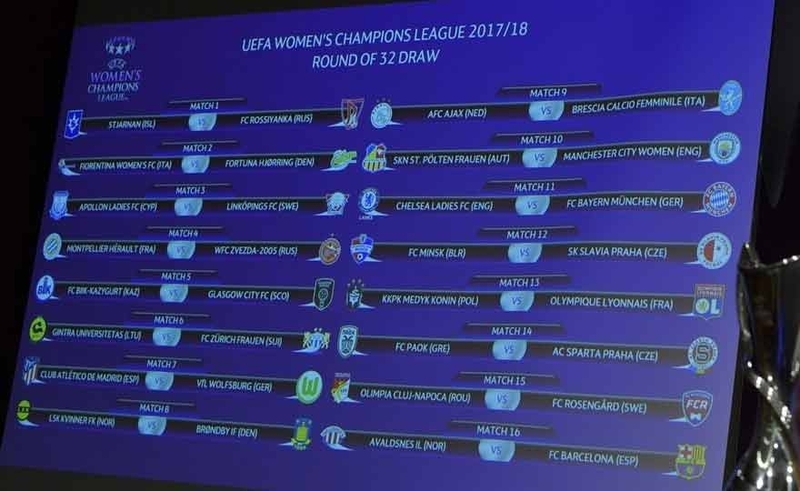 Lyon, the holder of the UEFA Women's Champions Trophy and in pursuit of their third consecutive win, will begin their seasonal journey by facing Medyk Konin, while Chelsea will challenge Bayern Munich and Atlético Madrid will play against Wolfsburg. Today and tomorrow the Champions League return matches will be played. Anxious waiting for Juventus, Barcelona and Manchester City who are called to the company to pass the turn. Discounted, at least on paper, the transition to the second round for the Viola team. Juventus, the debut in the tournament, will see it with Brøndby while the more experienced Fiorentina will face the Fortuna Hjørring. The Lyon reigning champion will challenge the Norwegians of Avaldnses. 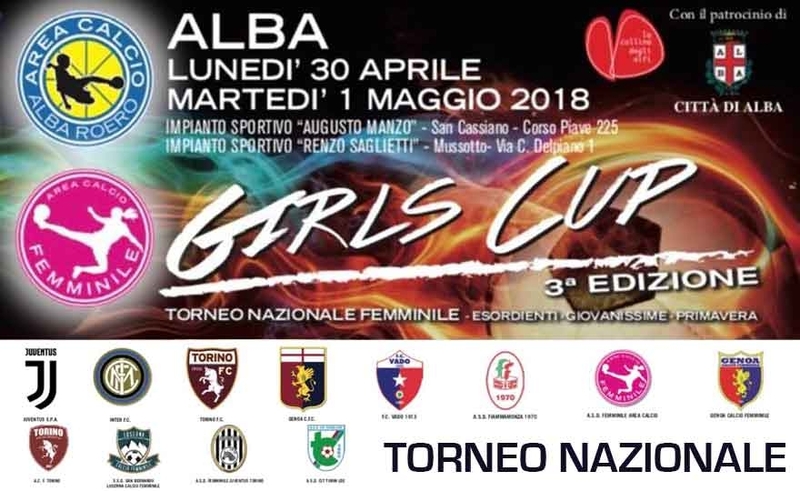 ASD CALCIO AREA ALBA ROERO is organizing, under the patronage of the City of Alba, the third edition of the "GIRL CUP" 2018 edition, a national women's football tournament, reserved for the categories Primavera, Giovanissime and Esordienti, scheduled for the 30 days April and 1 ° May. 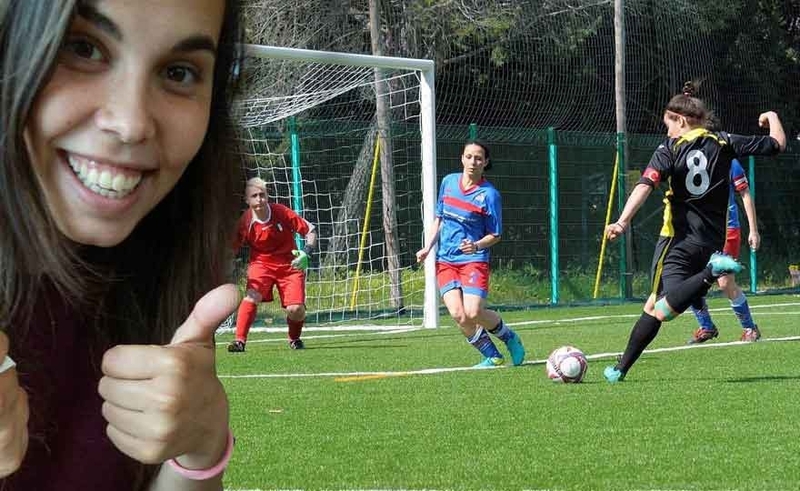 categories Primavera, Giovanissime and Esordienti «When it comes to women's football, it often happens that everyone talks about it, but few do. 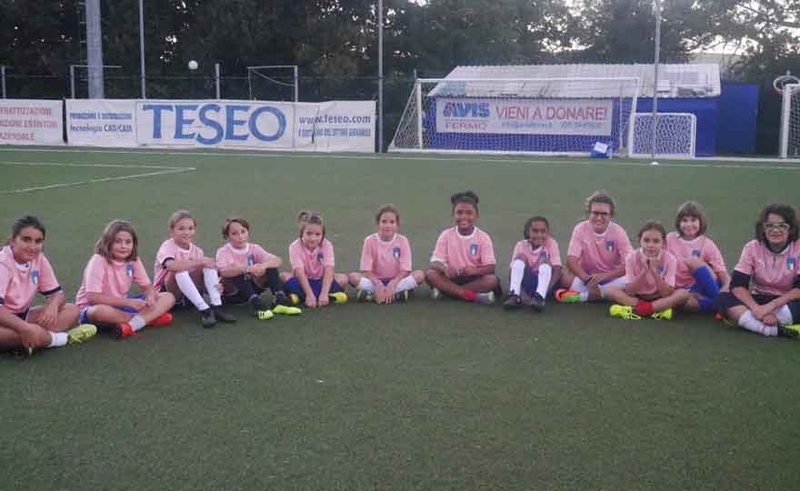 NAPOLI - The Pink Cup tournament was born in 2014 thanks to an idea by Martina Russo, a good left-back, founder and organizer, this year assisted by Valeria Naso, good striker. "I worked for" Sietten "men's tournaments at the" Santiago "structure in collaboration with Uncle Luca Peluso. 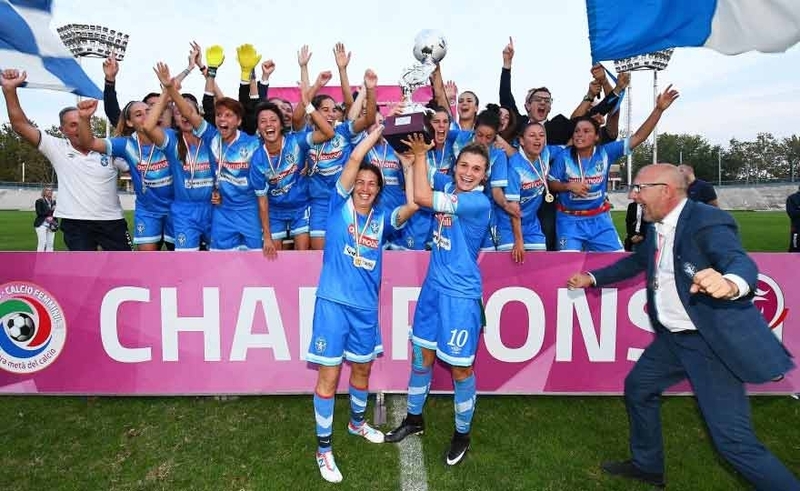 Given the great success achieved with the men's tournament, Martina Russo wanted a personal growth and not, inserting in the flegrean area between Agnano and Pianura also tournaments that involved soccer in pink, as the women's soccer tournaments were exclusively present at Camaldoli with the "S-Cup". 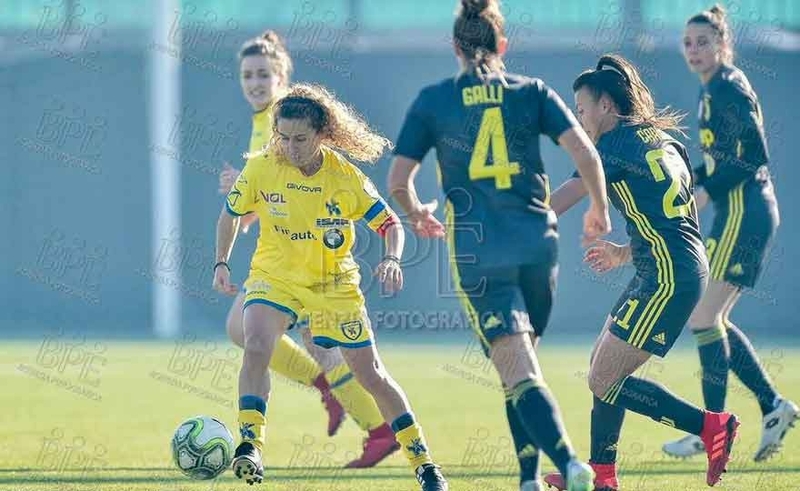 Sunday 18 February "1 ° Spal Female Chaffoteaux tournament"
This morning the "1 ° TORNEO SPAL FEMMINILE CHAFFOTEAUX" was presented in the press room of the "GBFabbri" sports center. The tournament, reserved for the Pulcine 2007 / 2008 / 2009 category, will take place on Sunday 18 February at the Centro Sportivo in Via Copparo and will be attended by SPAL, Bologna, Cesena and Sassuolo. The start of the event is scheduled for 15: 00 and admission for the public will be free. 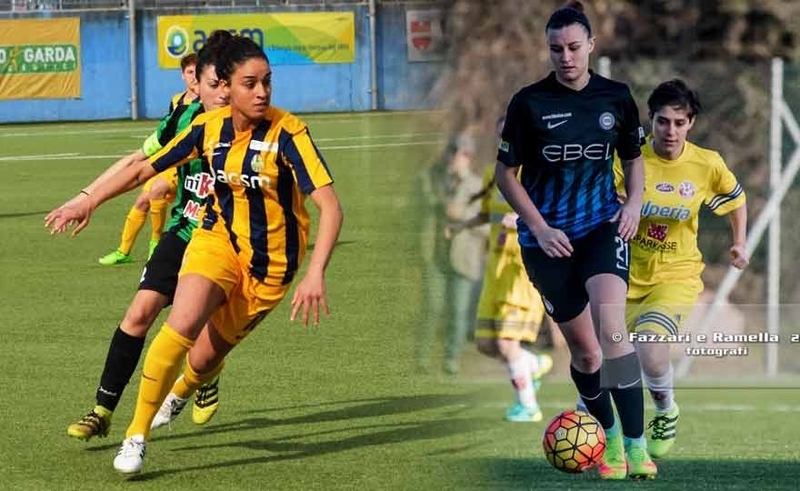 Read more: Sunday 18 February "1 ° Spal Female Chaffoteaux tournament"
The 2018 Arco Tournament is tinged with feminine purple in the sign of Davide Astori! Fiorentina win for 3-1. Purse doubles and the knockout of Brazil's KO at the end of a final fight against Res Roma. For the Giallorossi a pole of Labate and Cacciamali network. 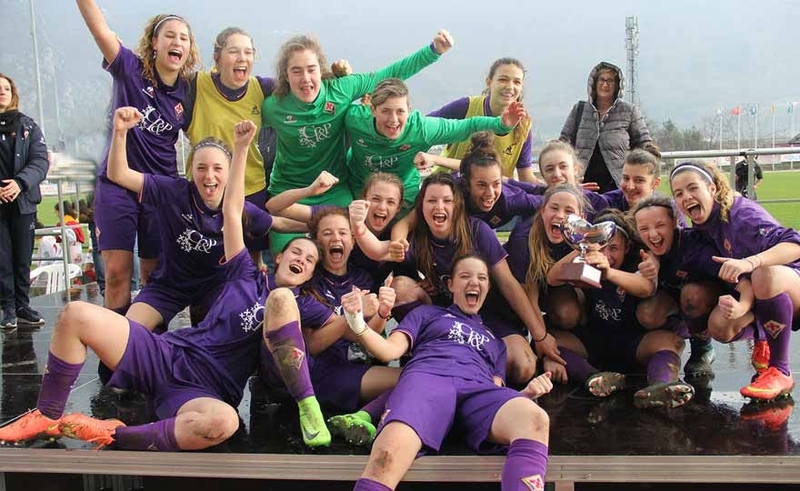 Arco (TN), 13 March 2018 - The 47 ^ edition of the "Beppe Viola" Trophy of Arco di Trento (17 ^ for the Women's Football), the leading event of Italian youth football, ended with the victory of Fiorentina. The four finalists of the 2016 / 2017 Spring Championship also took part. The viola win the title on the (former) reigning champions of the Res Rome with an 3-1 signed Bethany Purse (double) and Ellis Brazil at the end of a beautiful match and fought. Read more: The 2018 Arco Tournament is tinged with feminine purple in the sign of Davide Astori! 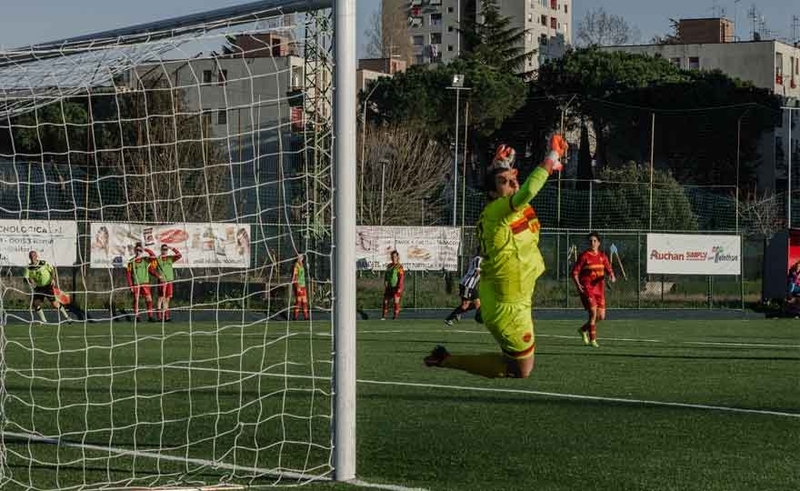 With the Official Press n.45, the women's football division of LND has announced the tournament schedule of the "Arco di Trento - Beppe Viola" tournament, reserved for the four strongest teams in the last women's soccer championship. 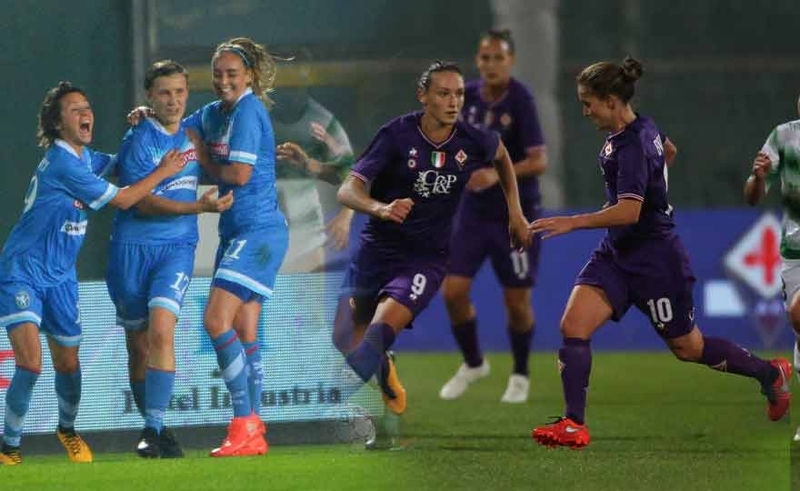 The four queens are obviously the Res Rome, holder of the last three tricolori category, Inter, finalist of last year, Fiorentina and Verona, both reached the semi-finals in the last edition. Beppe Viola Trophy: starting tomorrow! 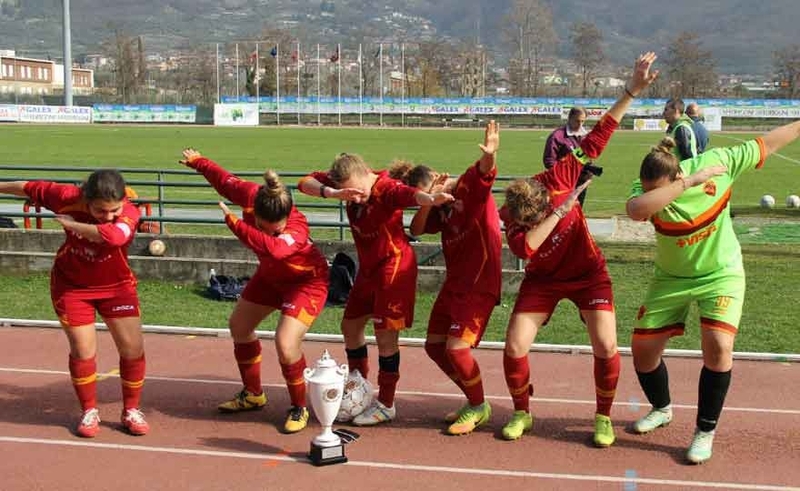 Arco (TN), 9 March 2019 - The women's tournament of the Beppe Viola Trophy starts tomorrow in Garda Trentino. 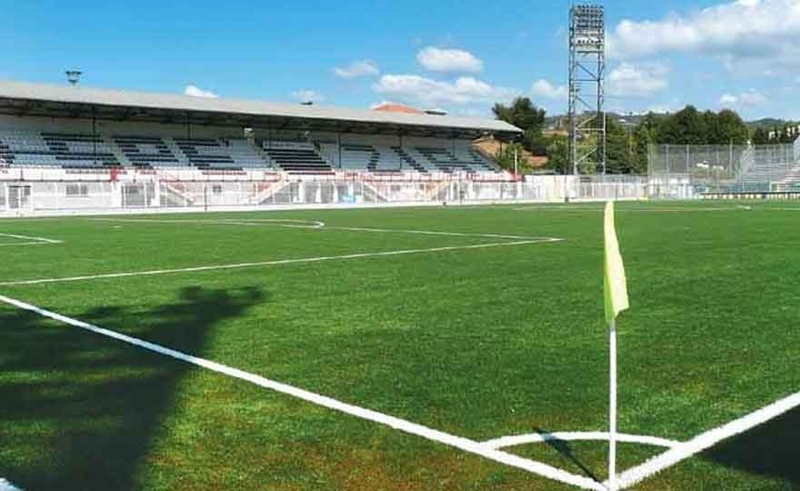 The 18ª edition presents itself to the public and professionals with an absolute novelty: for the first time, in fact, the event will open the doors to the Juniores formations of the Serie C companies, thus taking the place of the Primavera teams. 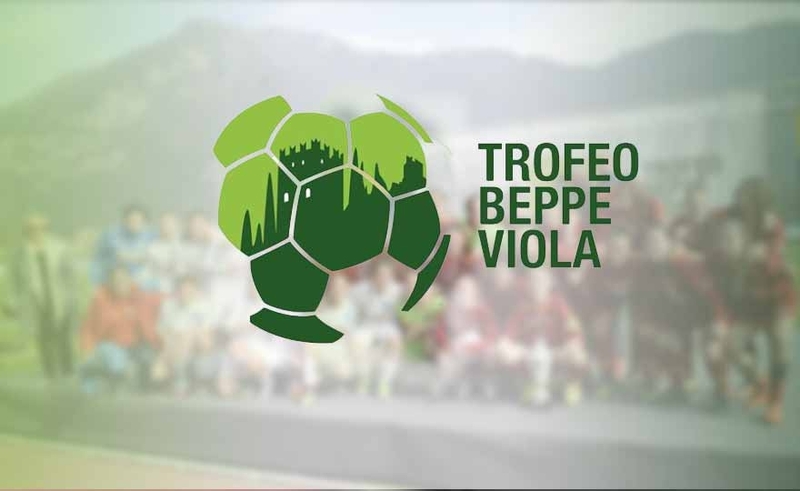 Read more: Beppe Viola Trophy: starting tomorrow! 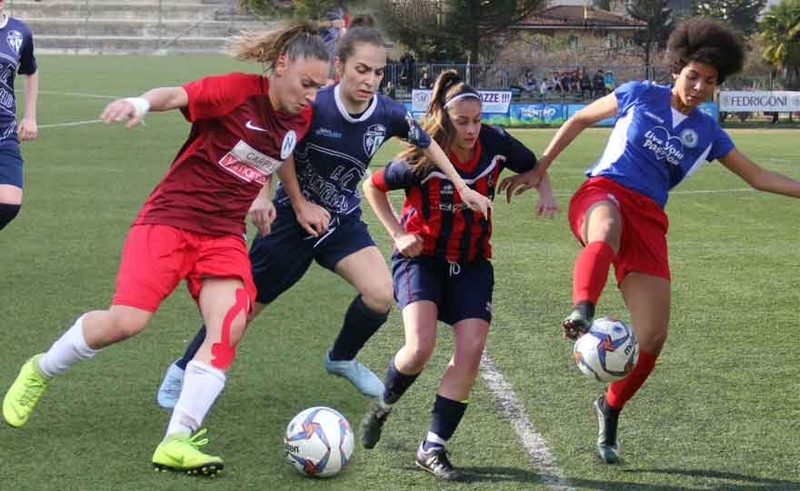 The 2 ° day reserved for women's football gives the first verdicts: with an early turn they advance to the quarters of Lombardy, Piedmont Valle d'Aosta and Tuscany. In Group A Lazio breaks down like a cyclone on Basilicata: 7 to 0 with two goals by Valerrii and Manna. Lombardy grants an encore on Liguria and is mathematically the first having won the head-to-head clashes, unimpressive in the result of tomorrow with the Basilicata already eliminated. Sports betting has now entered the daily lives of many people. You can now play every day several times a day as the different leagues play at different times so as to ensure the possibility of playing more than having the opportunity to play live during the meetings. More and more Italians are becoming passionate about this game and therefore, as usual, many portals are emerging on the web that deal with the topic, especially for the predictions sites that are increasingly requested by the players. The editors of CalcioDonne.it are pleased to announce the achievement of the agreement with a new collaborator: Miriana Cardinale. 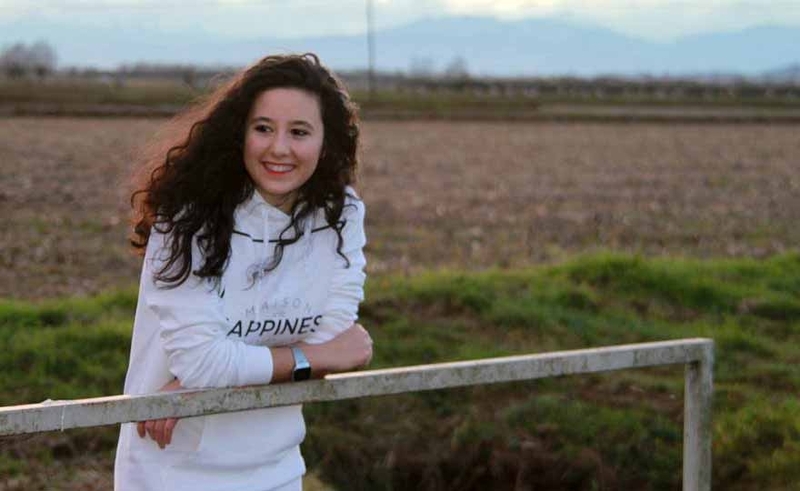 Miriana is a young Piedmontese girl of twenty years old, lives in a village in Vercelli but studies at the faculty of Communication Sciences at the University of Turin. The editors of calciodonne.it is expanding and welcomes Giulia Correzzola, graphic and industrial designer. Passionate about art from an early age, she has a high school diploma in art and a master in creative design in her pocket and has been working for years on graphic design, combining the realization of projects for individuals, her passion for painting, thus giving free out of its creative vein. Bergamasca, 1983 class, Elena since her childhood has a passion for languages ​​and writing, hence her work as a translator who has been doing for almost ten years. Another of his great passion is sport, not only as fun but as a means to improve people's lives from many points of view. 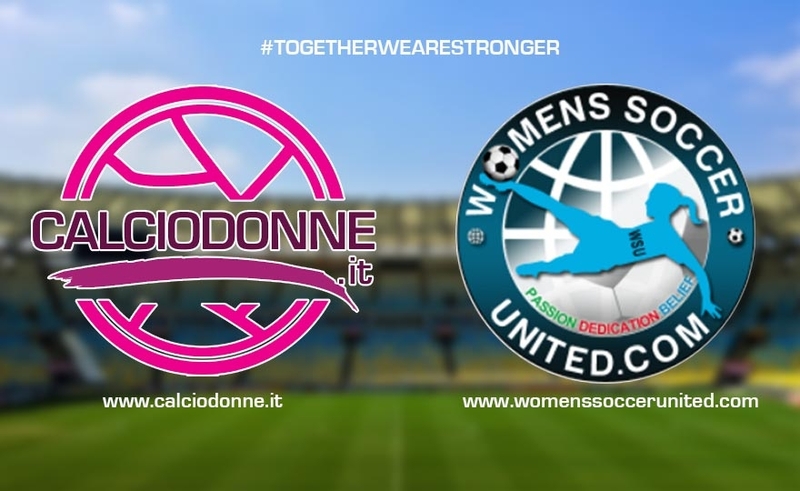 Thus, by combining work with passion, collaboration with CalcioDonne.it is born, through which it hopes to contribute to spreading interest in women's football, both in Italy and internationally. 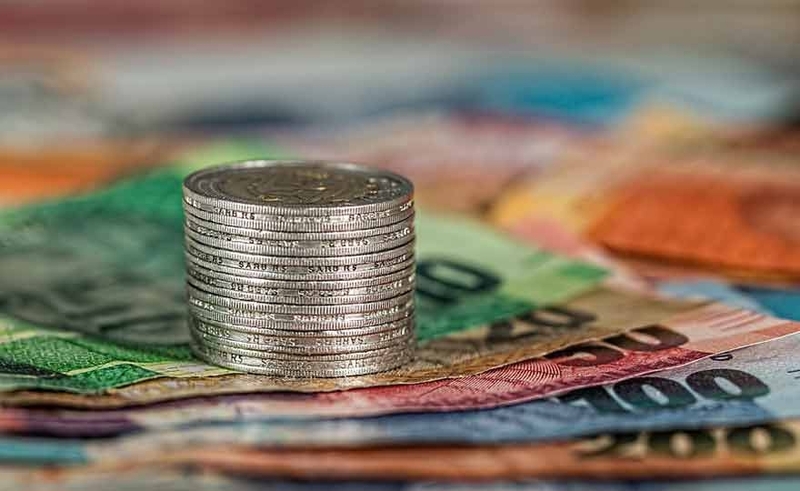 From now you can finance for free the work of our young collaborators doing your daily research on Lilo.org and assigning credits to our project! A project created to contribute to the start-up and professional growth of young people in the world of journalism. 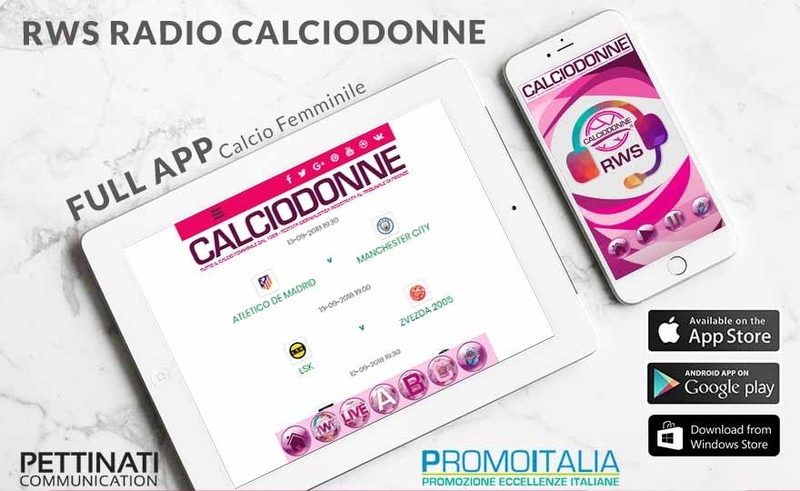 After months of studies and tests, here is online "RWS RADIO CALCIODONNE"
A new project, innovative and experimental, finally takes home football kicks and greatly expands the platforms for the dissemination of our services. 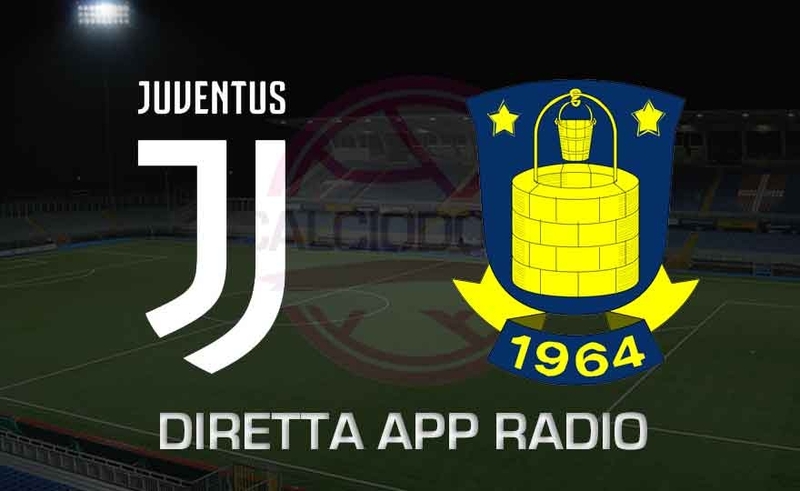 Live and Radio APP results, part "All kicks minute minute minute"
The editorial staff of calciodonne.it has always been a reliable source of results with scores, classifications and pdf of the day to be downloaded in real time (results, scorer and championships + lineups), with the start of the next Serie A championship. 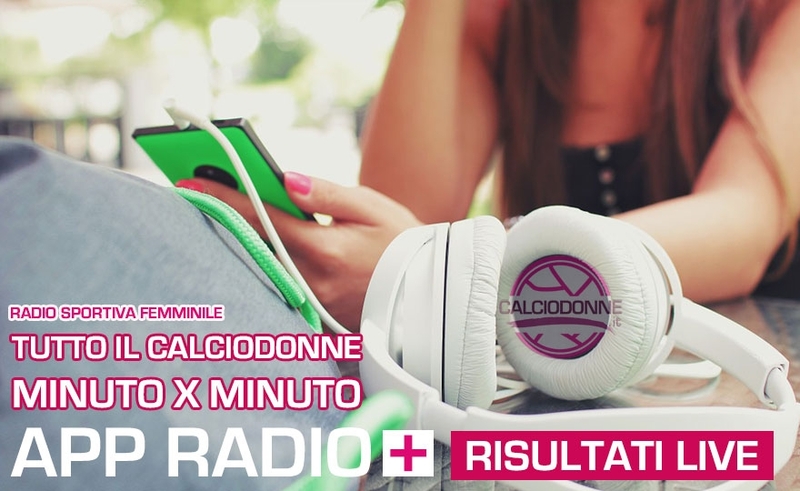 decided to broaden its range of action and is pleased to announce the realization of the transmission "ALL CALCIODONNE MINUTE X MINUTE"with diffusion via RADIO APP, transmitted simultaneously on our website, facebook, twitter and youtube. Read more: Live and APP Radio results, part "All kicks minute minute minute"
Thanks to the availability and collaboration of the new entry Elena Intra that we can give life to one of the many ideas that our editorial staff has long been in the drawer of desires. Until yesterday, we have invested our time in importing stories and experiences from other countries and cultures on our journalistic head, from today, thanks to Elena, we can export the news of our movement in the main foreign online newspapers. The full official application of calciodonne.it made by our publisher is available on PlayStore, AppStore and Windows Store Walter Pettinati! APP allows you to stay updated on all news published on calciodonne.it, well organized by menu categories with the availability of historical archives. Space to the particular columns and the funzone with the quizzes, photos, highlights and direct matches, easily reachable with a click. 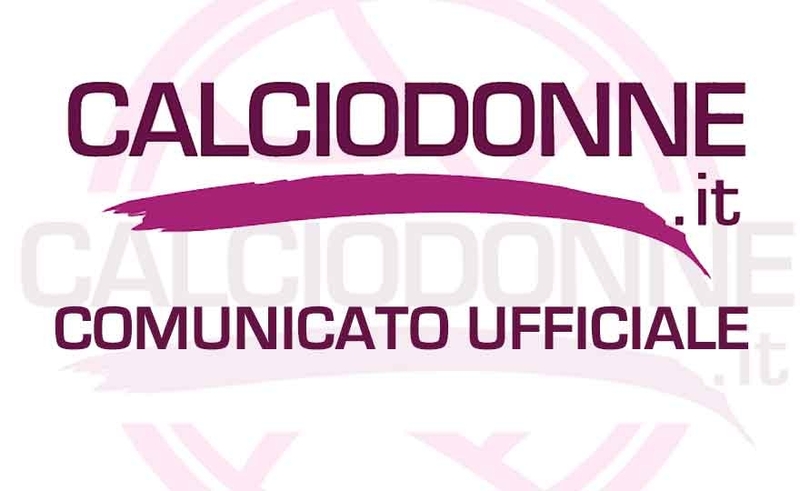 In order to continue to pursue the intent of the growth of the women's football movement, the close synergy between the information portal "Calciodonne.it" is born, in the person of the publisher Walter Pettinati who, for twenty years, has been promoting development of women's football in Italy and dissemination through television with live matches and the new radio-web "Calcioladies"Which, since January, is broadcast every Tuesday from 21.00 to 22.00. 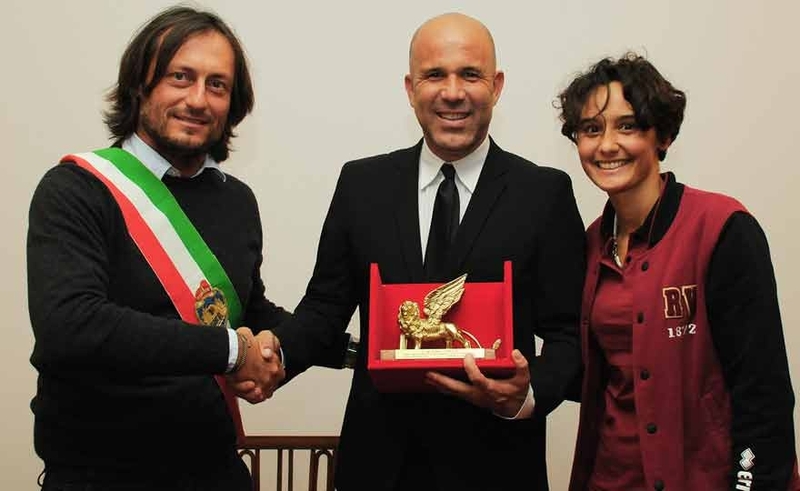 Lido di Venezia, 26 October 2017 - The Net.Uno Venezia Lido is presented to the city for the 2017-18 sports season with a guest of honor the technical commissioner of the Italian Under 21 National Luigi Di Biagio. 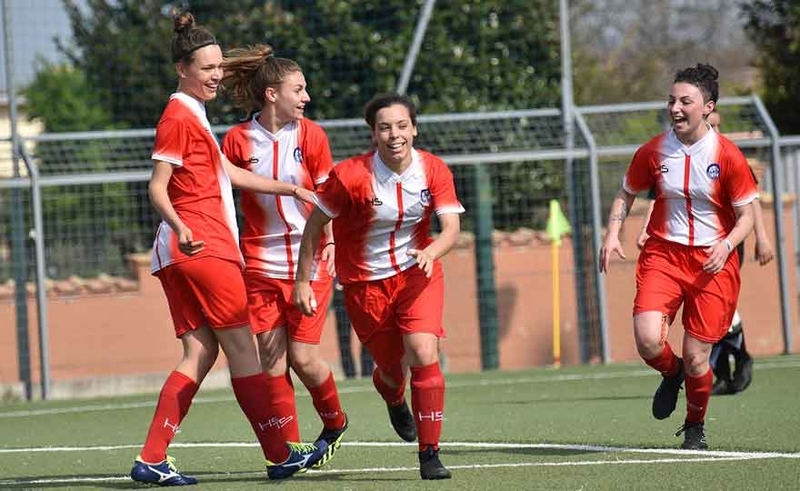 The rossoblu team is this year engaged in the Interregional Serie C of women's soccer and in the Veneto Cup. 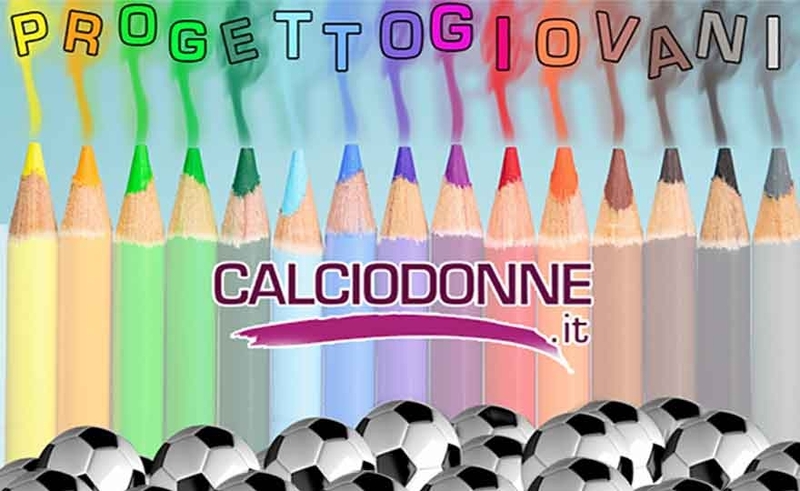 Many news at the starting point of this chapter of the sporting adventure: on the bench there is a new coach: Vincenzo Di Rienzo, 40 years native of Foggia, last year at the helm of the "Giovanissimi" of Scorzè. I did the essay on women's football. I wanted to talk about the conquest of women's rights. I would have liked to talk about the discrimination they have suffered in the course of history. 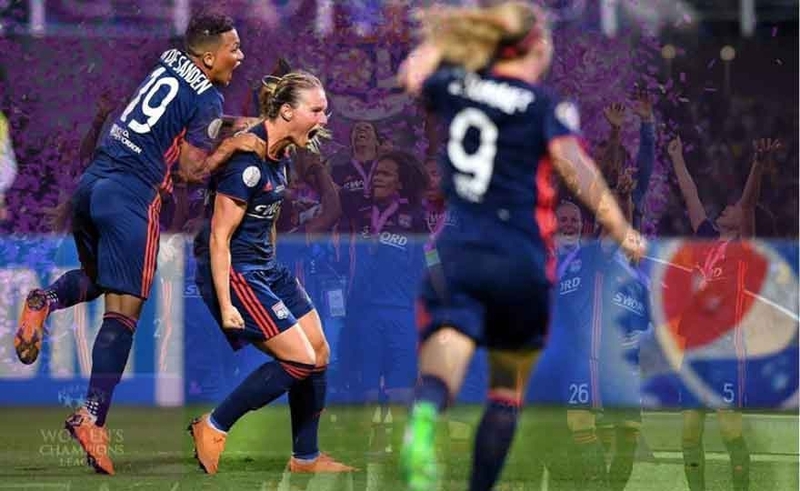 I wanted to talk about their strength and their tenacity in supporting their ideas, but everything brought me back to this sport, to the fact that, if I had not added the feminine adjective to the word football at the beginning of this text, no one would have thought not even remotely about the possibility that I would start talking about women. You always read in the newspapers and listen to TV interviews with players or players, you want to know everything about them: opinions on the match just played, on their team, on teammates and opponents, on the league, you often try to find even some curiosity on a private level, as special hobbies outside of their football activity, in some cases, you can even fathom their love life, a topic that, however, I think should be the least important aspect to know for the real fans! 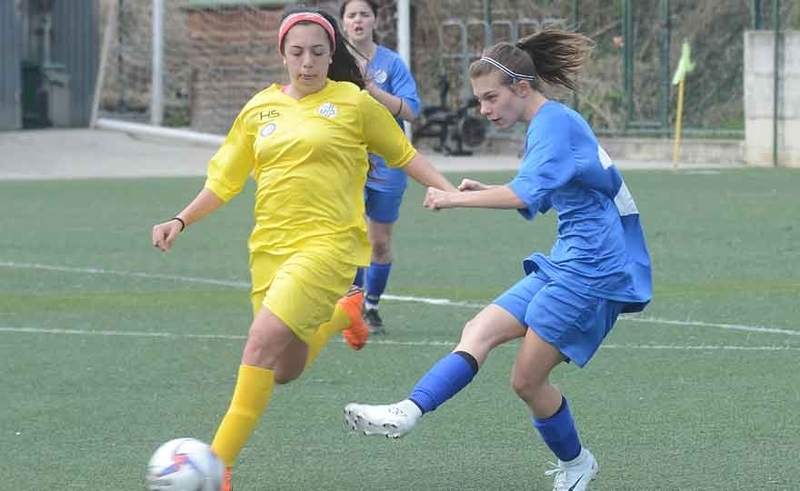 Agnese Bonfantini, class' 99, striker of the female Inter with 4 nets active in this season. Number 10 on the shoulders, the deeds of Alex Morgan in the eyes (and in that pink band as a hair clip) and a great future ahead. The interviews of football players do not stop, and after the detailed story of Cristina Merli the nomination of the Nerazzurri 10 number leads us to know his story. 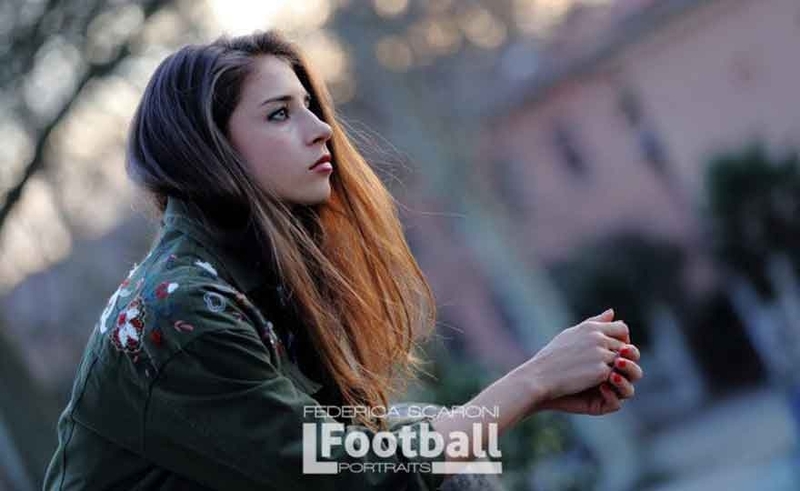 Claudia Ferrato was born in Padua in November of 1996 (scorpioncina doc) and started playing football, with boys, at the age of 5 years up to 12 when she passed through the Zensky Padova. "My family - says Claudia - he supports me in what I do because they understand the importance of football for me. My mother and my brother are disinterested in sport, while my father follows me everywhere and in all these years only a few games have been lost. " The letterhead on which the communication is reported proves that it is not a hoax, the letter that follows the statement that it is not madness. Elisa Mele, a player until a few hours ago in Brescia, abandons the game played. This was announced by the company in a press release reporting an open letter from 21enne that is circulating around the network. Silvia Fuselli graduated on the field and in life! Few Italian players can boast their palmares: FIVE badges, TWO Italian Cups and well SIX Super Italian cups, give Silvia Fuselli the image of a WINNING athlete! A long career started playing with the kids near the house and that would continue for a long time and only on those fields if his cousin Gessica, who already played football for some years in the Ulysses, seeing in her uncommon skills and a lot of passion for football , did not take her with him in this company. 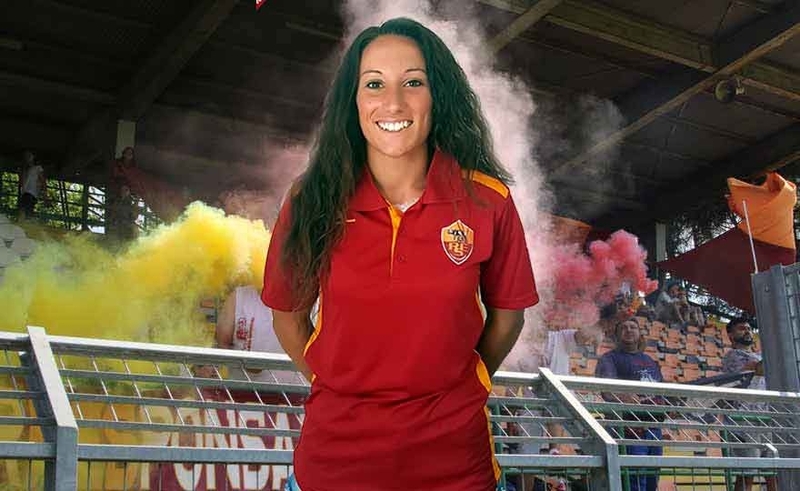 Read more: Silvia Fuselli graduated on the field and in life! Manuela Giugliano: imagination and power! There is a song of Drupi a few years ago called "Small and fragile" and, seeing Manuela in the field, one might think that the title of this song can refer to her ... but this is certainly not her case ! Manuela is so small, but far from fragile, indeed she has incredible strength in her legs and many of her nets are the most striking demonstration. Manuela, although still very young, has already accumulated a lot of experience in her sport and refined her technical skills, already in itself remarkable, working in different companies under the guidance of several trainers. Read more: Manuela Giugliano: fantasy and power! 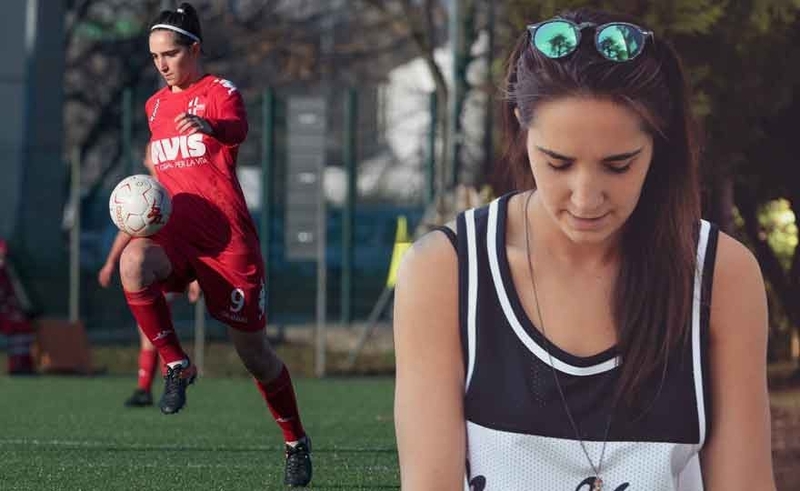 "I started playing football at the age of 6 - says Sandra -, the passion was passed on to me by my father, he played football until the age of 42. Initially I played with the boys and for the first years I was the only girl in all the championships I played. For me it has never been a problem to be "alone" as a girl, indeed, even outside the field of play I preferred to be with the boys instead of playing with dolls 😉. Football and cinema, Warner Bros and Fiorentina, Federico Chiesa and Dwayne Johnsons: an unusual collaboration born on the occasion of the release of the film "Jumanji: welcome to the jungle", distributed in Italian cinemas by Warner Bros. Entertainment Italia starting from 1 January 2018. The film, a sequel to the cult with Robin Williams, sees four friends who find themselves catapulted into the dangerous world of Jumanji, taking on the appearance of avatars with characteristic traits and unique abilities, finding themselves facing the most dangerous adventure of their lives. Giada Penati: "I never lose: either I win or I learn"
Direct, full of energy, tenacious, sociable and always with a smile. A girl who - sometimes - tends to charge too much responsibility to help improve certain situations in general. Whom are we talking about? 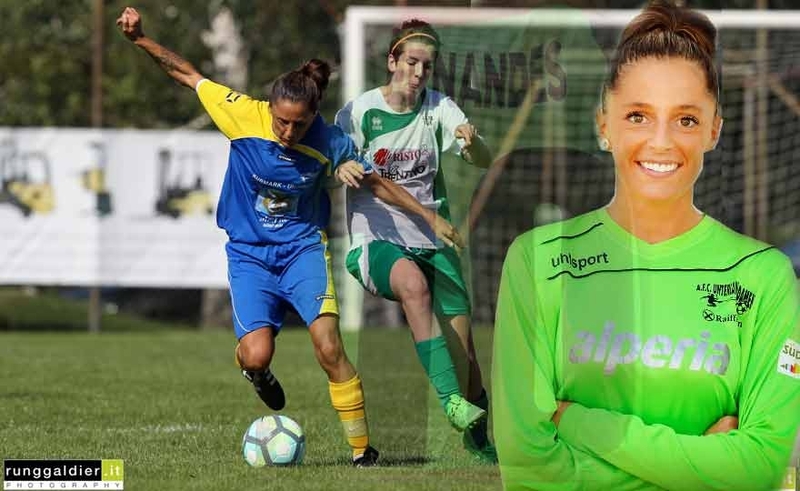 by Giada Penati: a promising player, 1998 class, who has made football - in fact - her greatest passion. "I started playing sports as a child", his words, "from swimming to skiing, from skating to tennis, from volleyball to basketball (among other things, my young father militantly competed in a Milan team" La Forte and Courage ") .. always at the amateur level. Read more: Giada Penati: "I never lose: either I win or I learn"
«The girls have always played different roles and undertake careers of all kinds with Barbie and we are thrilled to be able to focus on women-inspired models of real life, reminding girls that they can be anything they want» explains Lisa McKnight, senior vice president and general manager of Barbie, about the launch of the last campaign, this time at the 8 March, Women's Day. Arianna Montecucco: "Happy because I was strongly wanted; I hope to do well and help the team "
Class' 95, Arianna Montecucco is one of the promising young girls who arrived this summer at Fimauto Valpolicella. First season in Serie A for the former Novese striker, with whom he scored 17 goals in 22 last year's matches in B and touched the promotion for 1 just point behind the Empoli. 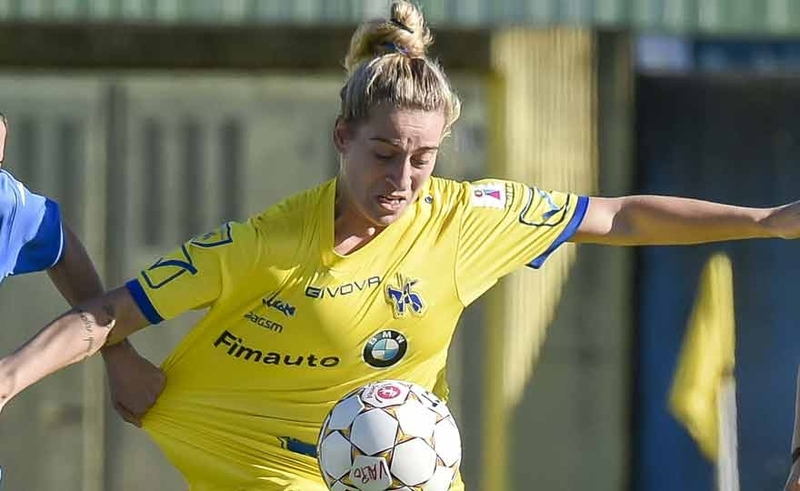 Just against the Tuscan was close to the first official network in the second day of the Championship, then won the match for 2-0 from Verona. A constant with which the sports world will always have to deal is the scourge of injuries, authentic dramas for many athletes who every day, more or less compromising, are forced to leave the activity practiced because their body seems to row against the objectives set. When it comes to high-level sports, like professional football, it is plain to see what happens when a player goes to a big injury: teammates, clubs, and fans from around the world hold each other in a virtual embrace unfortunate, accompanying him in the difficult moment until the long-awaited return to the field. 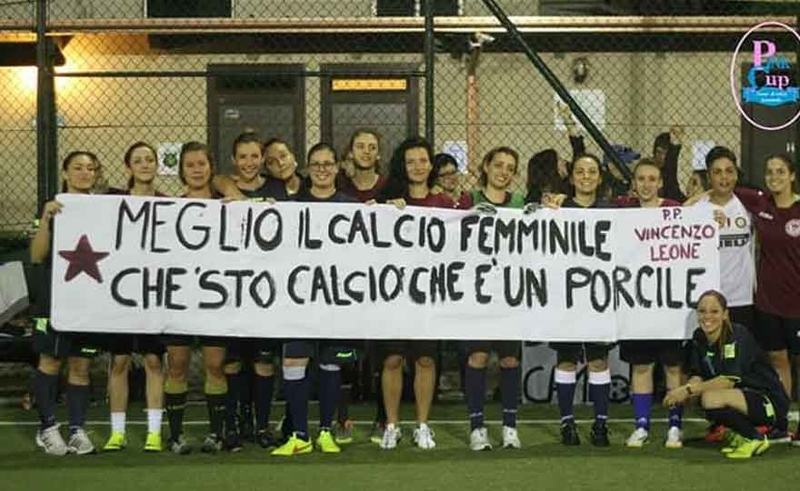 Eleonora Goldoni: an emblem of Italian women's football, an example, a very very significant point of reference. We often hear about her for her football skills (and human) .. especially in recent times since her class is well known overseas and, not least, its fresh convocation in blue shirt. But the greatness of Eleonora is not just football: "My passions are many", her words, "nutrition and nutrition in the first place". 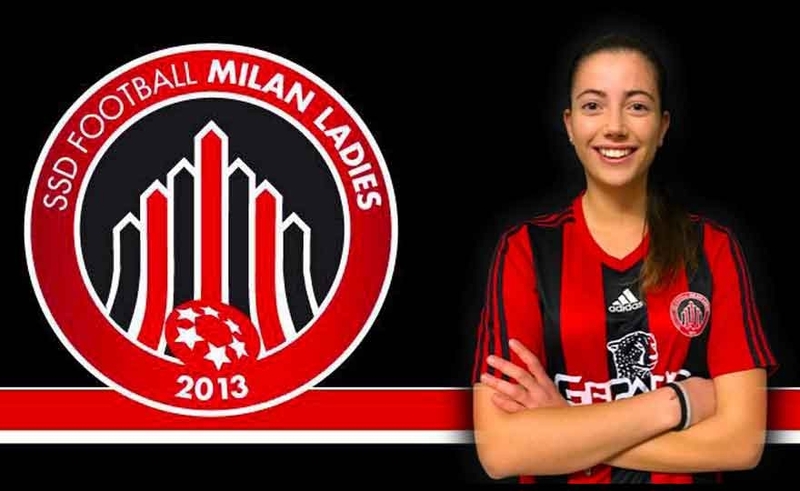 1997 class, 7 number on the jersey and 5 nets active this season: we are talking about Marta Longoni, a twenty year old Milan Ladies midfielder and a new "stage" of the interviews project by calciodonne.it. 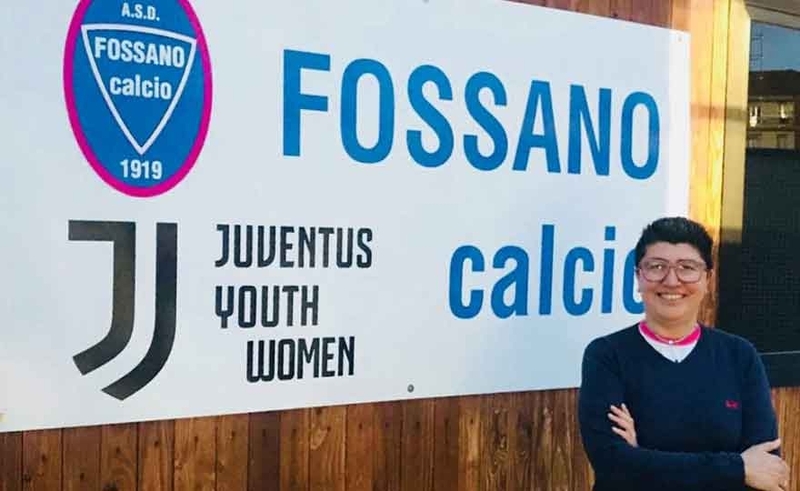 The presentation of Agnese Bonfantini, who appointed the Rossoneri midfielder as the recipient of our interviews, is already eloquent about the quality of the athlete in question: "Nomino Marta Longoni because I think she is a great potential player," Agnese said in the interview. very good at the head and is very physically set. In these two derby disputed I think it was one of those that put us in more difficulty ". 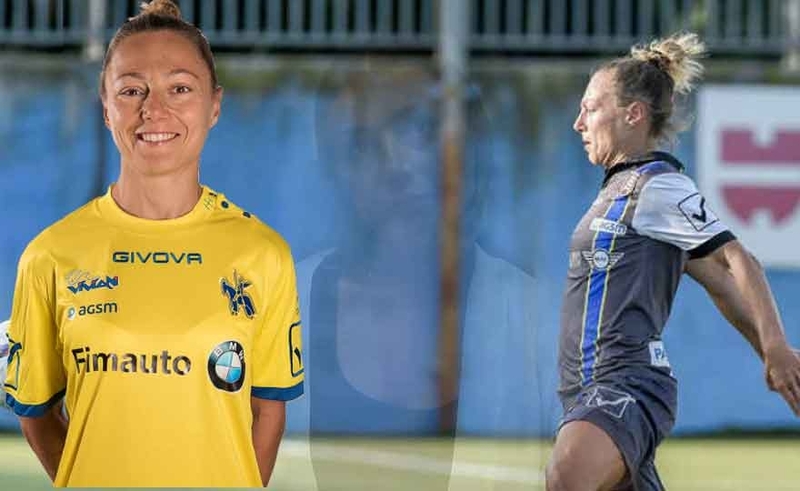 It is a cornerstone of the formation of Marianna Marini, a modern midfielder with characteristics of running and dynamism, vision of play, healthy agonism and disposition times that lead her to the conclusion. 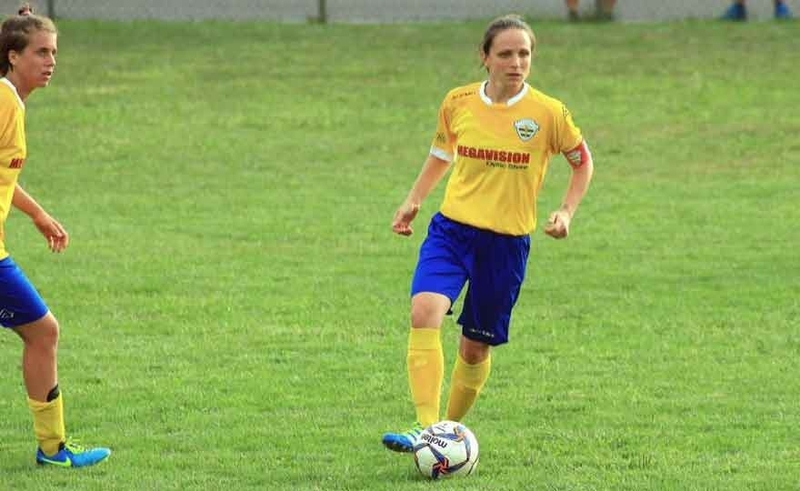 This season Cristina Merli scored well 8 goal and certainly did not intend to lose this vice, bad for the opponents. 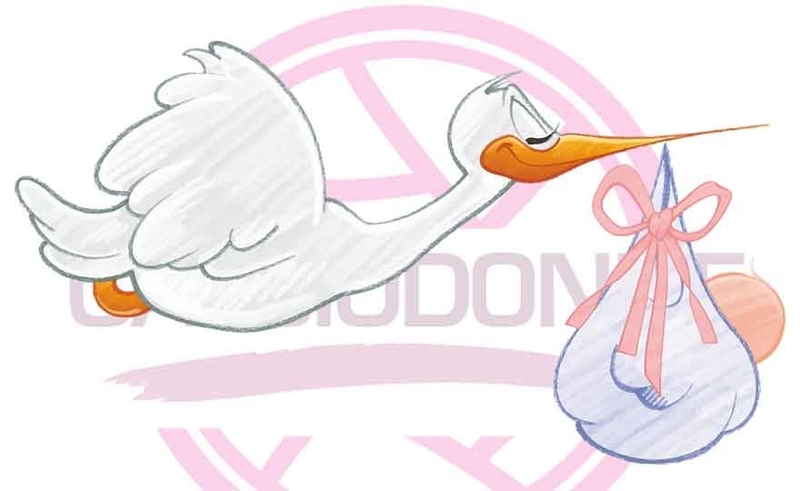 Cristina and l'Orobica have agreed to make this young star of our football known exclusively for calcioodonne.it. Rosalia Pipitone, the last bastion! It's a thankless role that of the goalkeeper, is the last bastion of his team, the sentinel of his door, watching the game from afar, but must never lose concentration because the other comrades of the defense may have a moment of loss and him or rather, in our case LEI, since we are talking about Rosalia Pipitone, must without delay remedy! Rosalia faithfully reflects the above description, a long career in "that prison of white bars" which has now become her second home in which she finds herself very well! Read more: Rosalia Pipitone, the last bastion! Interview with Ludovica Nasti ... "The Genius Friend"
Ludovica Nasti, the twelve year old LILA in fiction "THE GENIAL FRIEND"Which is broadcast in these weeks on TV on RAI ONE, has a great passion that is that of the BALL, plays in a football team, the Napoli Dream Team, and so I wanted to contact her to know her better both as a footballer and as a very good little actress in this television reconstruction of Elena Ferrante's book. Chosen between 8 thousand little girls, it was found for the first time in front of the camera and the result was exceptional ... Very good in a particularly difficult, exciting role that involved the television audience with record audiences. 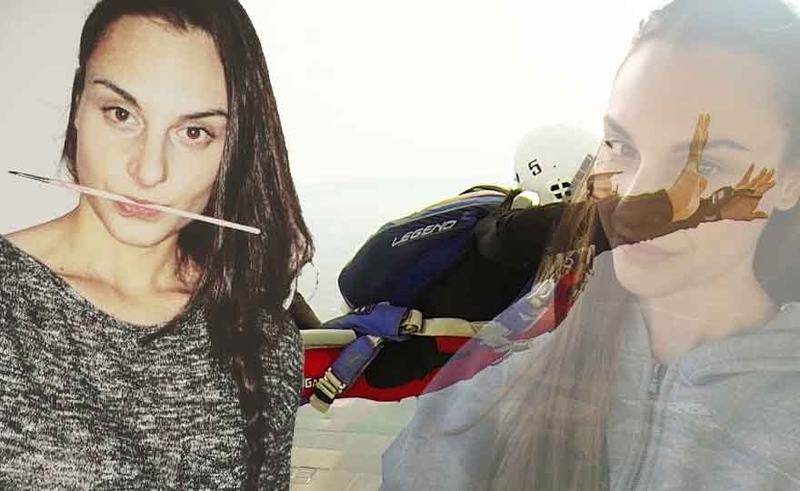 Read more: Interview with Ludovica Nasti ... "The Genius Friend"
Chatting with Eleonora Goldoni you see something very deep inside her, a "reality" that goes beyond the purely sporty aspect ... Something - or rather someone - that really makes this girl an example, not just in a green rectangle of play. We have learned to know it through its sporting deeds (and study of University in America), but the world of this champion - and not only in the field - starts from a concept that might seem distant, only apparently though. In such a delicate moment of Italian football, it is precisely such attacks that diminish the credibility of a sport based on values ​​such as mutual respect and sharing. The company hopes that the competent bodies will highlight this unfortunate situation, in order to protect the honor and image of the athlete and in general of the entire female movement. I present you with a "spearhead": Melania Martinovic! 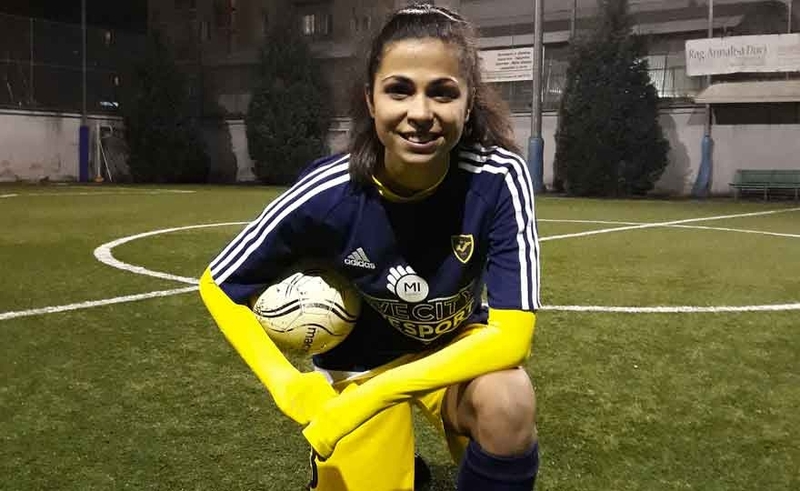 Melania Martinovic is a modern attacker, very strong physically, with an excellent header and a remarkable power of shooting and for these characteristics, seeing that he wears the red yellow jacket, I like to compare it to the romanist tip Dzeko! Melania has played football since she was a child, then she chose to practice other sports, to return to the age of 18 years to "run after a ball", which is still successful today given her great propensity to score. Read more: I present a "spearhead": Melania Martinovic! The official date was the same day: Giorgia Spinelli flies to France while Martina Piemonte to Spain. So the two young people leave Italy to live a new adventure that will help them grow and will give them the opportunity to discover new realities beyond national borders. We know better the two players and the chosen destinations. Anna Serturini: determination and desire to improve! Anna was born the 13 Maggio under the sign of the BULL, so determination, character and a bit 'of healthy stubbornness are its main characteristics. He started kicking a ball from the most "early age" and then continue his football path, a few years later, in the team of his country the US Val del Riso where he played until the age of 10 years passing then at the Atalanta where it remained until 13 years. Read more: Anna Serturini: determination and desire to improve! 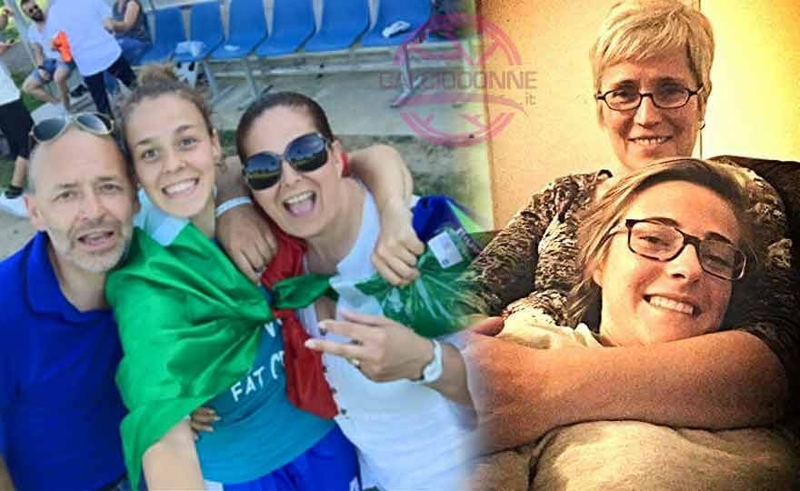 Giorgia Marchiori: "the debut in Serie A is a unique joy!" 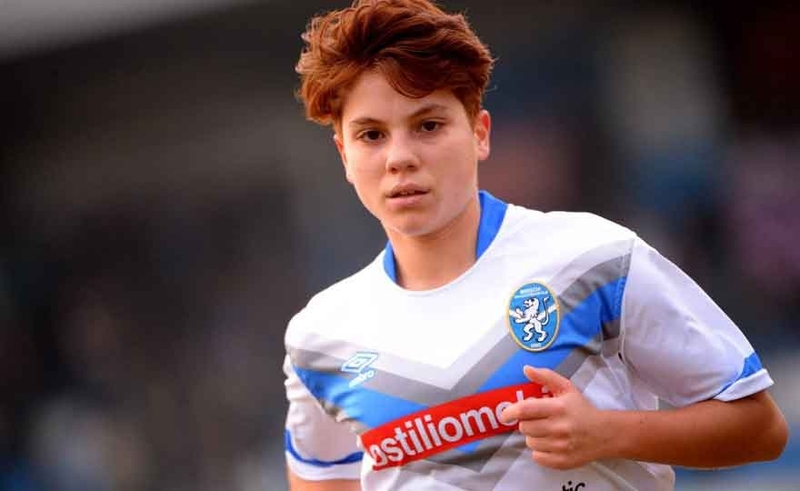 Among the positive notes of the unfortunate Fimauto Valpolicella match against Atalanta, there is undoubtedly the debut of Giorgia Marchiori, 2002 class striker, owner of the Primavera training, she entered the field instead of Silvia Fuselli just before the half hour of the second half. "Giorgia - highlights Mr. Diego Zuccher - is doing well with the Primavera and deserved to debut in Serie A. I do not have the statistics at hand but I think it is among the youngest ever to have debuted in the top flight. 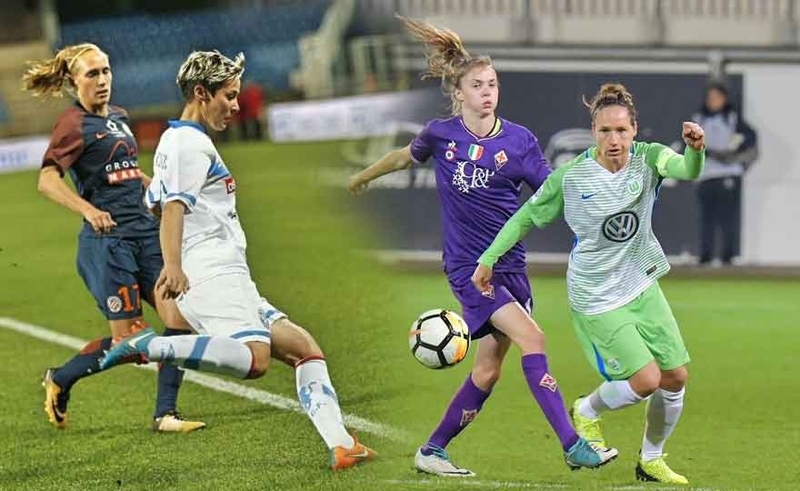 Read more: Giorgia Marchiori: "the debut in Serie A is a unique joy!" Michela Martinelli: me and my Tavagnacco! 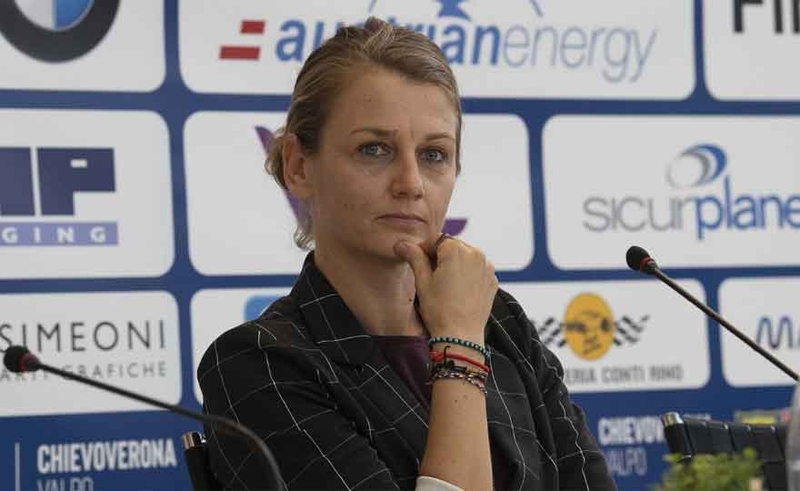 Michela Martinelli has been for many years an unavoidable defensive pawn of the Tavagnacco. 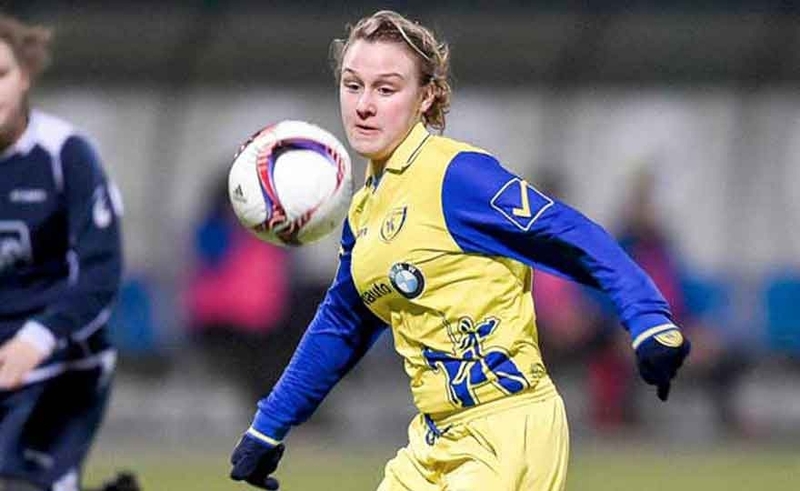 A player with character she has always been appreciated in the field and out since the early years of her long militancy in blue yellow, a "loyalty" that has given her so many satisfactions on a personal and sporting level. In these years he has won two second places in the top division and two Italian Cups and the satisfaction of playing the Champions League in the 2011-12 season. 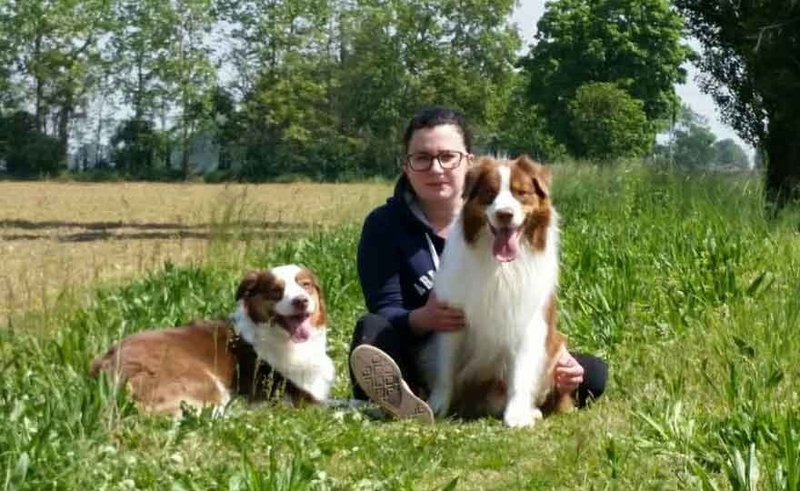 Read more: Michela Martinelli: me and my Tavagnacco!